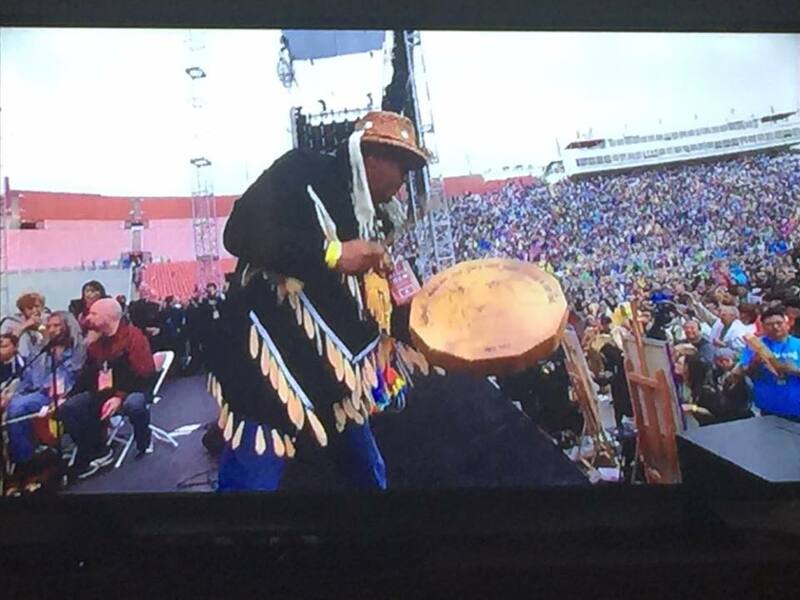 Drumspeaker to the nations | Our Creator God is calling First Nations People to rise up and be a warrior for Him! Our Creator God is calling First Nations People to rise up and be a warrior for Him! 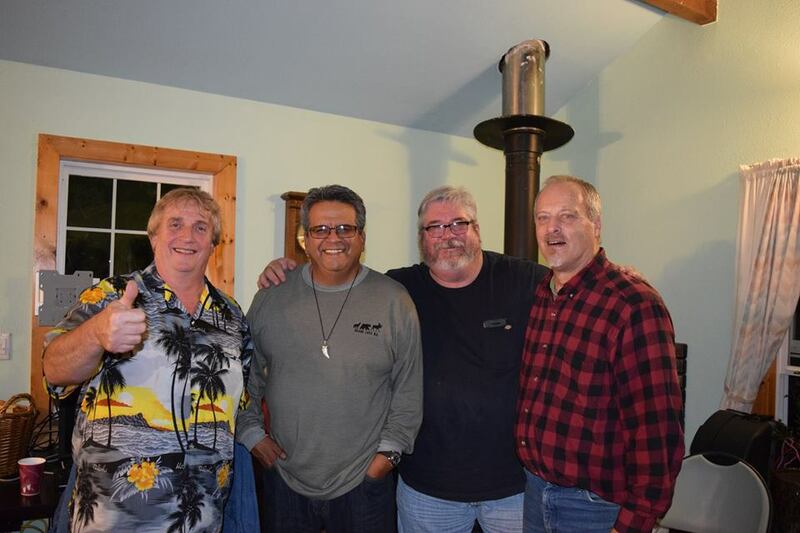 January: Jerry headed out to the all native men’s retreat in Bellingham WA. That same weekend Leslie attended a prophetic conference with Bonnie Jones at Three Rivers house of prayer in Longview. January 18-20 we traveled to Nespelem WA near Coulee Dam to help our friend Bershet with her husband Gua’s celebration of life service. It was a beautiful time of worship in honor of this faithful man of God. On the way home we stopped at the Wanapum museum, it was interesting to see their history. We sensed a spirit of welcome and peace. 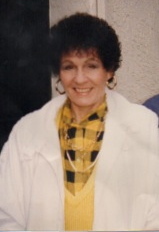 February: In the early hours of February 7, Ann Maguire Chapman (Jerry’s mom) went home to be with her savior. No longer restrained by the confines of this world. We traveled to Canada February 9-11 for a memorial with family and friends. All but 4 of Jerry’s surviving siblings were able to attend. 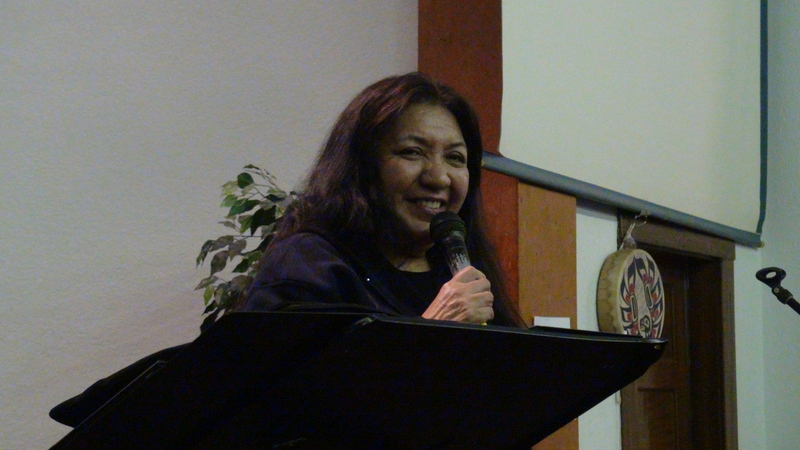 February 15-19 we went to Oroville CA to minister at the First Nations Leadership Summit 5778. Leaders came from all over United States, Canada, as well as from England and Israel. Part of our purpose in gathering was confirming Native leadership responsibilities and gaining knowledge regarding gatekeeping. It was an intense time of worship, intercession and declaration. February 23 was the Love in the Name of Christ annual fund raising dinner. 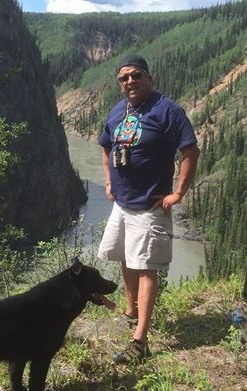 Director Larry Russell has been instrumental in keeping First Nations Ministry visible in our community. It is an honor to be able to give back in small way by donating drums for the auction. 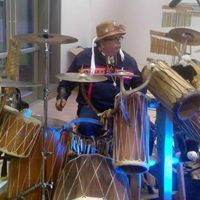 During the month of March Jerry had a couple of drum building workshops. We are always looking for opportunities to mentor and share drum building and protocol. March 24: We had our annual JCM ministry board meeting. We are so thankful for our leadership team. Dave and Nancy Bodine, Lennie Retterath and Tracey Pruitt. They are tremendous support for us in prayer, prophetic vision and encouragement. 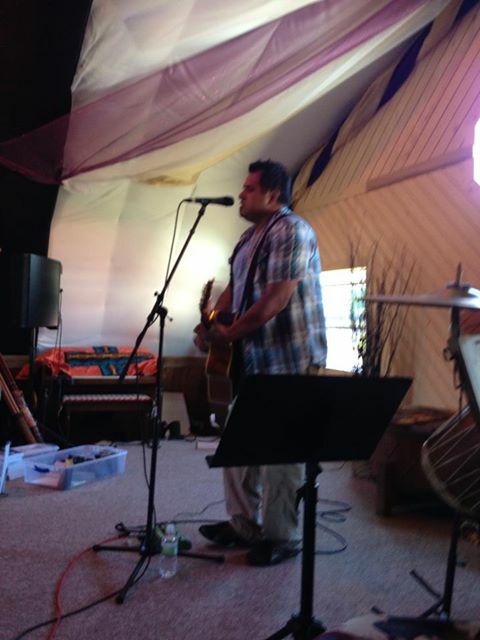 April 21 Jerry was invited to lead worship for Bridge Builders in Sequim WA. 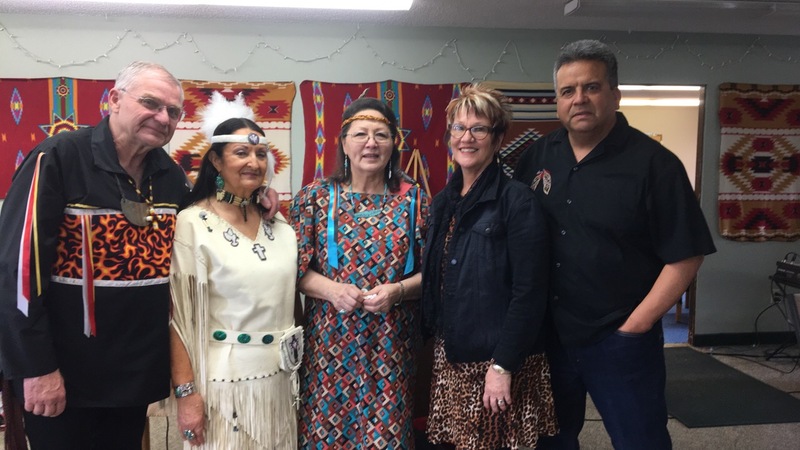 We joined Pat and Gary Walker who teach from a First Nations perspective with grace and humility. We so appreciate the Walkers, as they were some of the first people to spur us on into Native ministry and have continued their support through the years. We enjoyed the prayer group hosting the event and once again came away with new like hearted friends. Also in April Suuqiina returned to the Barn for another evening of great teaching and revelation. 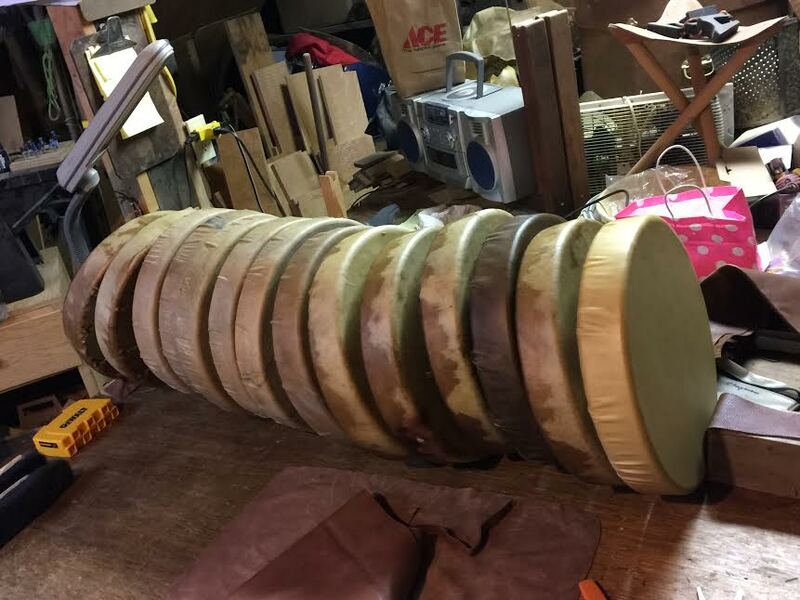 There was more drum building days in April with the undertaking of the building of Rival Drums for South Dakota. 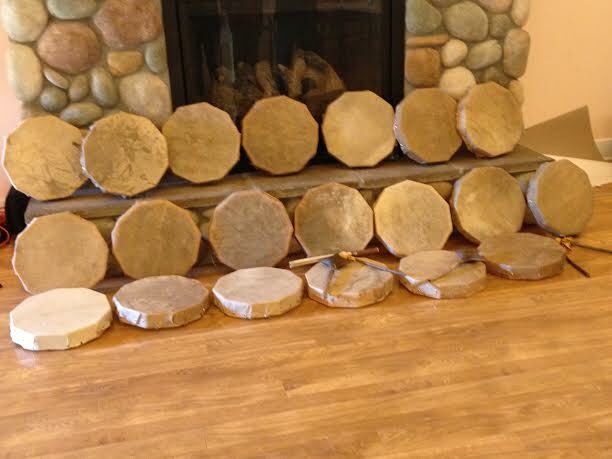 Also as a result of these individuals coming to the shop the 120 drum project for Canada was started we now have 60 frames built for those drums! May 8-9 we attended the Kelso Longview Ministry prayer summit in Cannon Beach OR. This is an annual event and we look forward to spending the time together with ministry leaders from our community in worship prayer and fellowship. 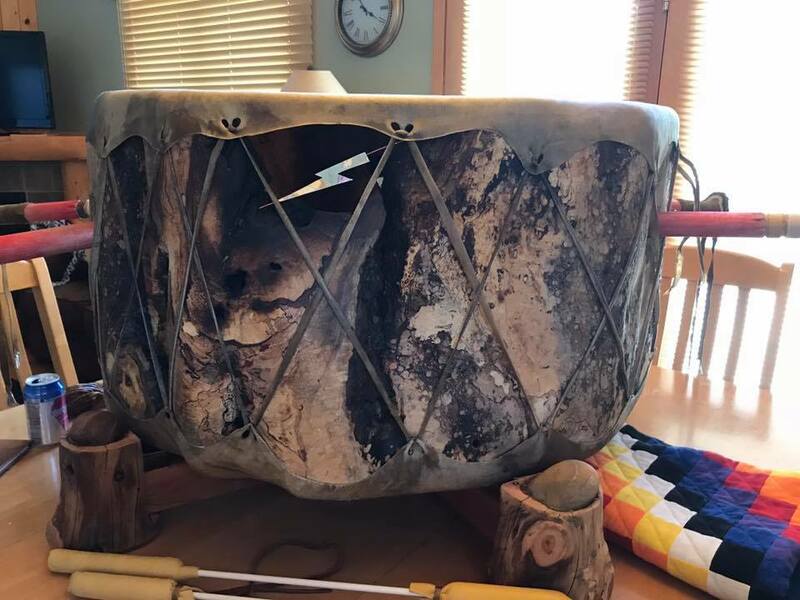 This year was unique in that we were able to gather the group to pray into one of the revival drums Jerry built for South Dakota. 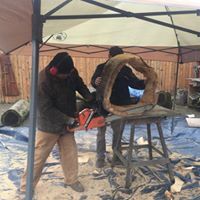 May 30-June 4 We drove to Palmer’s Gulch South Dakota to deliver the drums built from a tree that was standing during the Red River Rival of the 1800’s. Also known as the second Great Awakening. The location of the gathering was unique as it sits between Mt Rushmore and the Crazy Horse Monument. 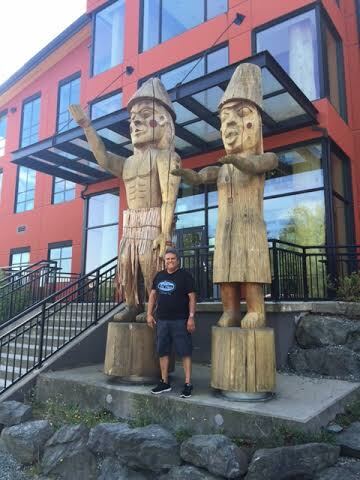 Travis Vaad who commissioned Jerry to build the drums has a huge heart for First Nations people. 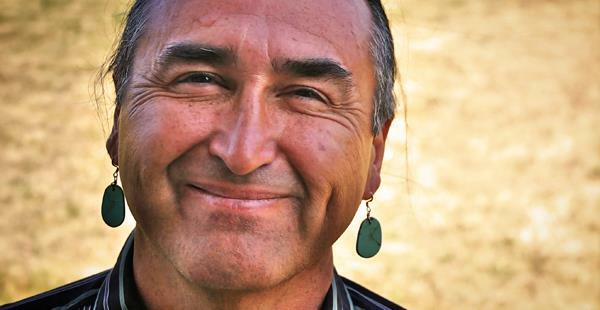 Native Americans predominantly attend the Church where Travis is pastor. We were so pleased to have our Pastor Jeff Hoover and Patrick Pickett from Longview make the trip to join us at the gathering. 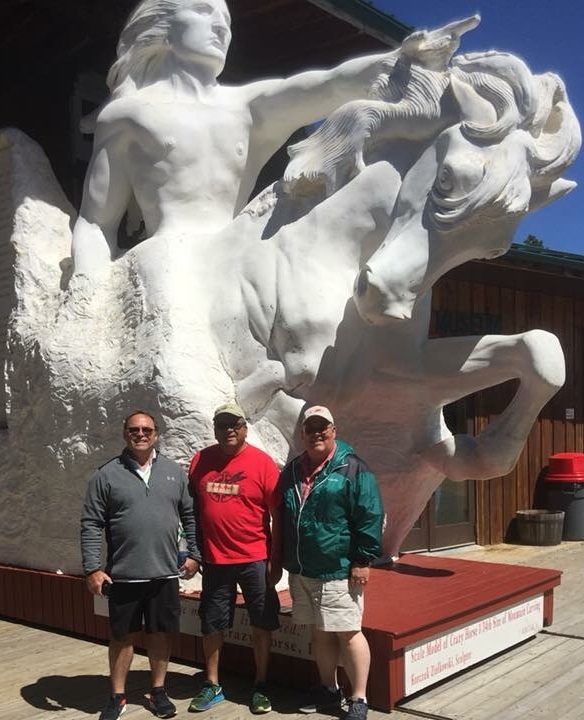 Jeff, Jerry & Leslie had a chance to make the hike up Crazy Horse where Jerry took the opportunity to sing and drum in worship. The meetings where filled with worship, prayer, declarations of hope and healing. 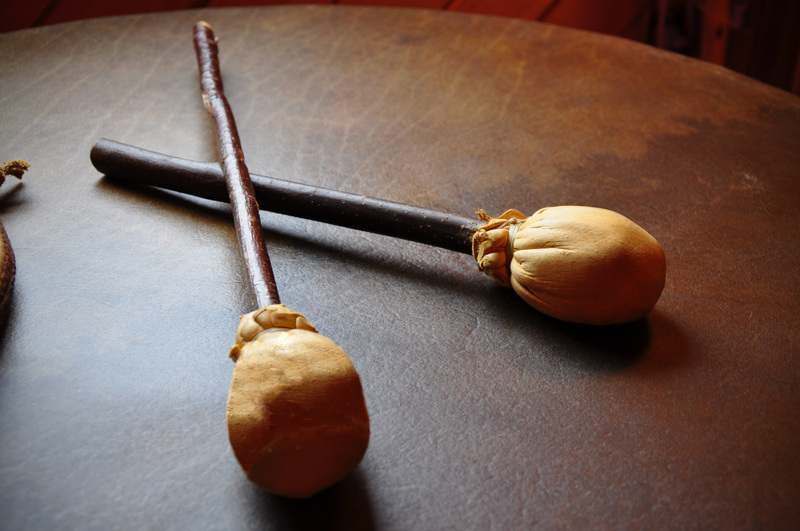 Drums were sent out and commissions made to those who will use them in Native ministry. 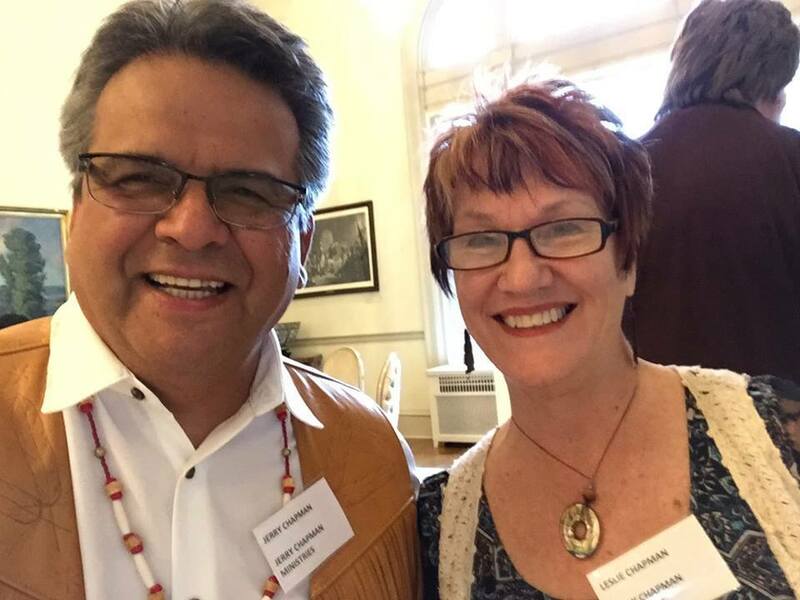 It was an honor to meet Jerome Slidesoff pastor, evangelist and descendant of Crazy Horse. A big thank you goes out to Travis and Jenna Vaad for all of their time, finances and hard work in putting this profound gathering together. 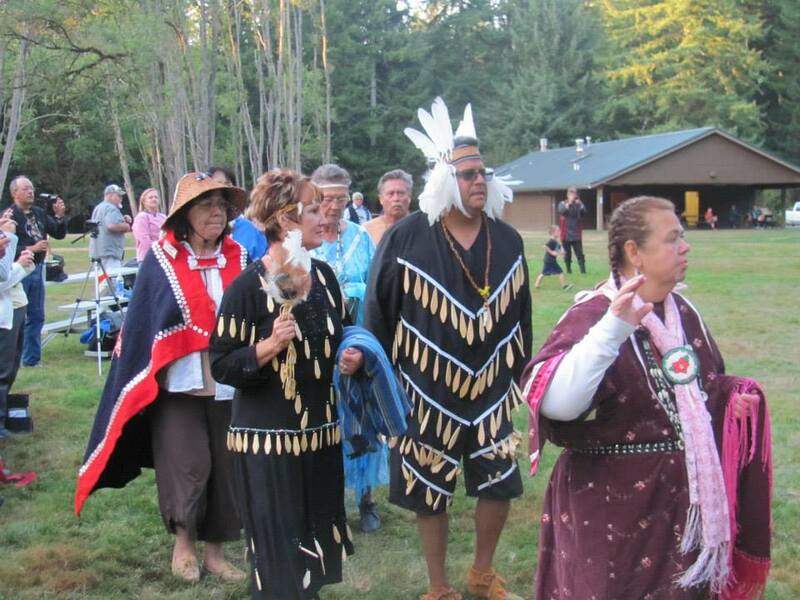 July brought us to the Wiconi family camp in Turner Oregon. It was so nice to meet up with old friends in a relaxed atmosphere. Jerry was slotted to teach a drum- building workshop. 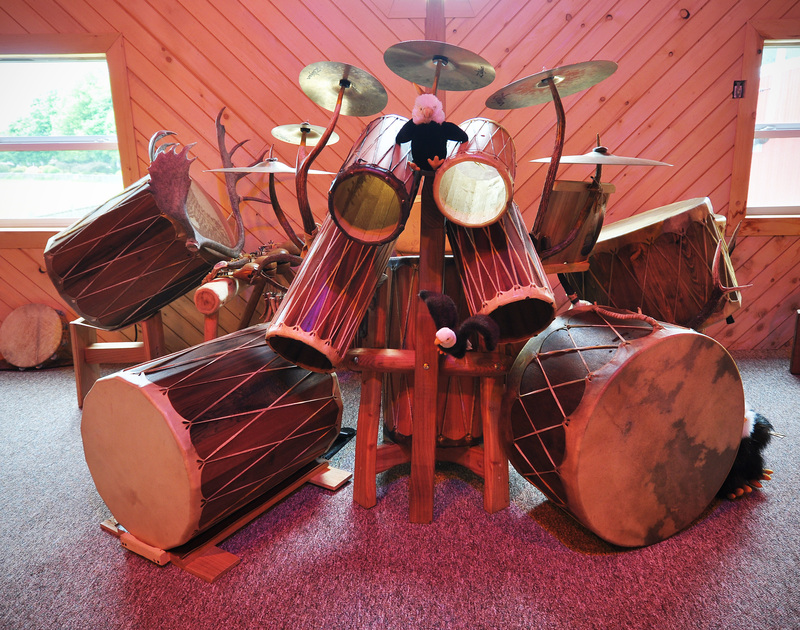 When he was setting up for the class he realized he had forgotten the drum frame. 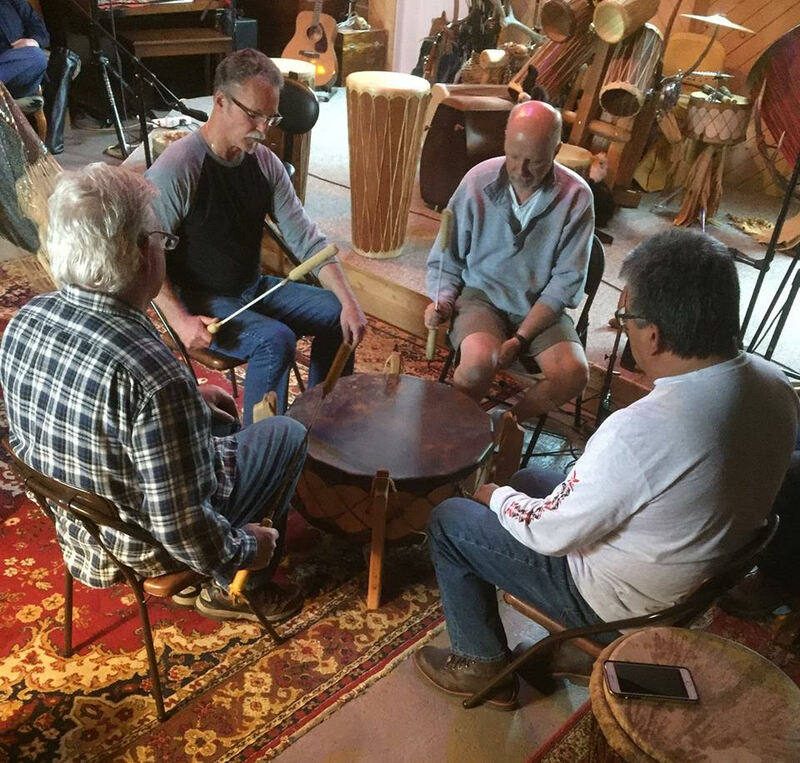 The class quickly turned into what to do with limited resources and a unique box shaped “story” drum was created. We brought our youngest two grandchildren who had a fabulous time on the water slide and in the creek! August 30-Sept 4, at the invitation of Art Lucier we landed in Stony Plain Alberta for the Kingdom Now Worship Pow Wow. This event was so encouraging for us. It was evident from the start that the Holy Spirit was moving the current in this river of intercession, worship, declaration, celebration and vision casting. The weather was crazy from rain to sun to really cold, but there was no stopping what Abba had planned for this gathering. We were so well taken care of during the entire stay. We are very thankful for the support and generosity of new and old friends alike. We look forward to the opportunity to join the team from Harvest Ministries in the future. 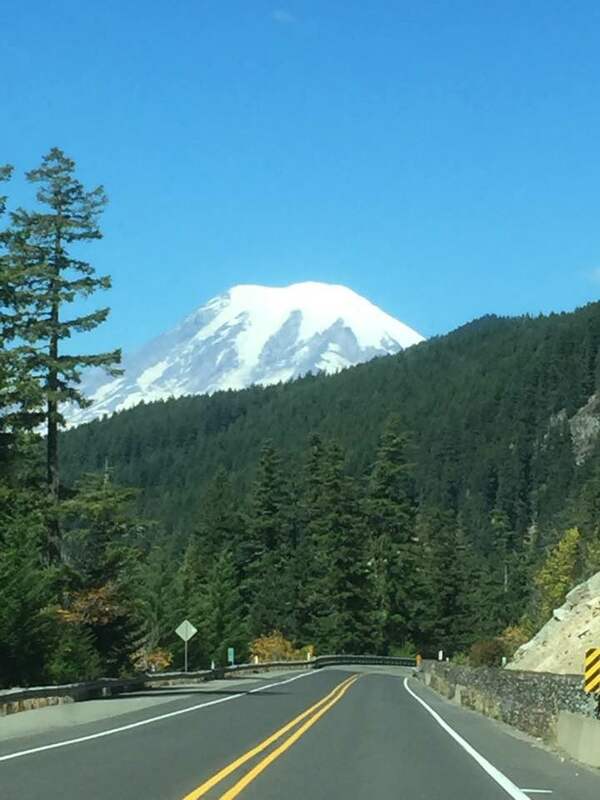 October 25 and 26 we set off to Portland Oregon for a conference with prophet Jim Goll. Jim’s teaching was perfect for that specific time for both of us. We came away inspired and with our vision refreshed. 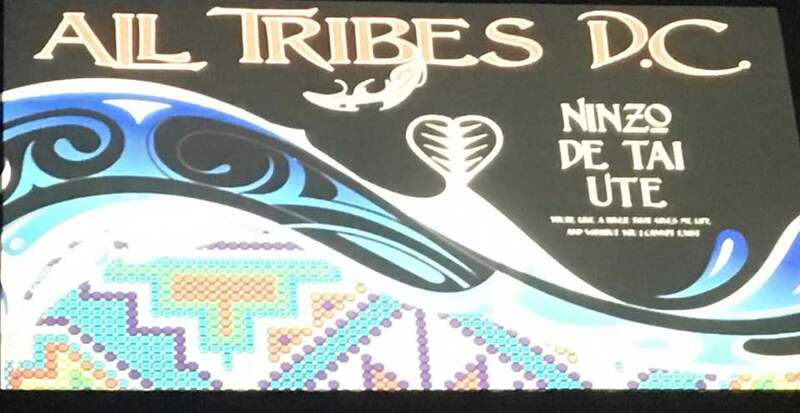 November 3 Jerry was asked to again emcee the Tacoma Intertribal Gathering’s fundraiser dinner and auction. 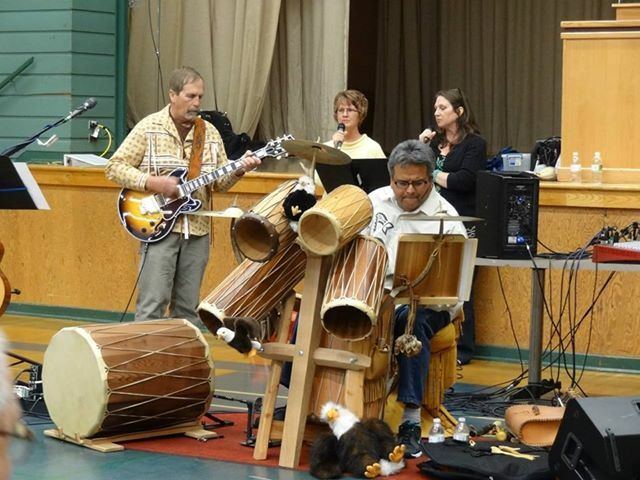 All had a fun time and some much-needed funds were raised for this intertribal ministry. Through out the year we traveled to BC on weekends to spend time with our tribal council and family in planning sessions concerning the future of Sqwe’lqwel. Much has been accomplished and there is much more to be done. We are very thankful to our chief and council for their many hours of hard work in this often times difficult and consuming task. our ministry endeavors. Our hearts are full knowing we are loved and blessed by Evangel Christian Fellowship. Thank you to all who have been faithful to pray and also give generously of your finances. Jerry is looking toward retirement in early 2020. With that will come a smaller income to offset ministry expenses. We ask that if you are not already doing so, that you would prayerfully consider giving on a regular basis. Thank you all for your prayers, participation and finacial support. Please take a look at our photo report below of the many opportunites we have been blessed to be a part of. We look forward to all the Father has in store for us this year . Our prayer is that the He will bless you and keep you moving in his love and abundant blessings throughout 2018. 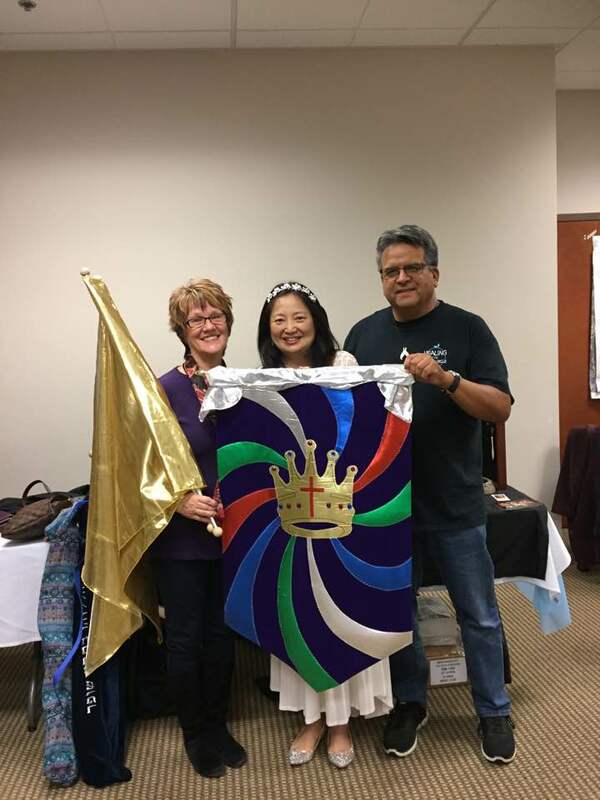 November 11: We took our final trip of 2017 to BC for our Sq’ewa:lxw gathering. We look forward to starting up again in 2018. 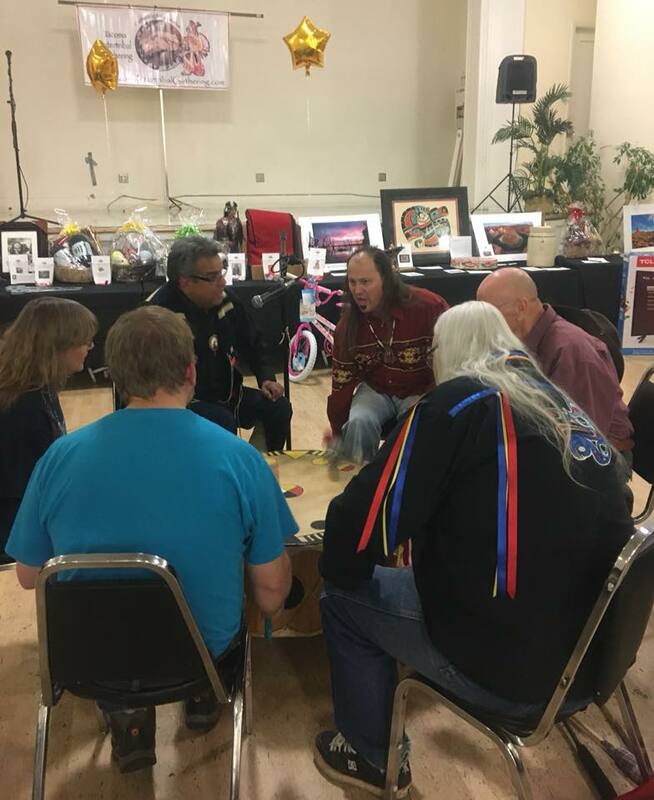 November 4: Jerry served as emcee at the Tacoma Intertibal Gathering dinner and auction fund raiser. These volunteers work endlessly to serve the cultural people in the Tacoma area. We were happy to be a part of their evening. Kids worship at the Abba drum. October 23-28, was a Week of Worship at our home Church of Evangel. On Saturday night Jerry brought out the Abba drum for worship. 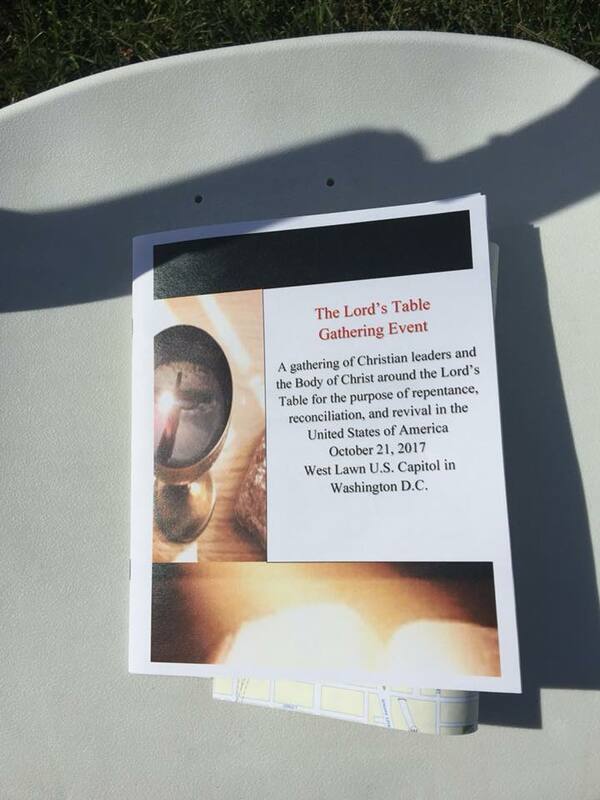 October 19-22: All Tribes DC Prayer Gathering. This was a great time of worship and intercession for our nation. Believers from all over the US and Canada calling on the Father for One Nation Under God. 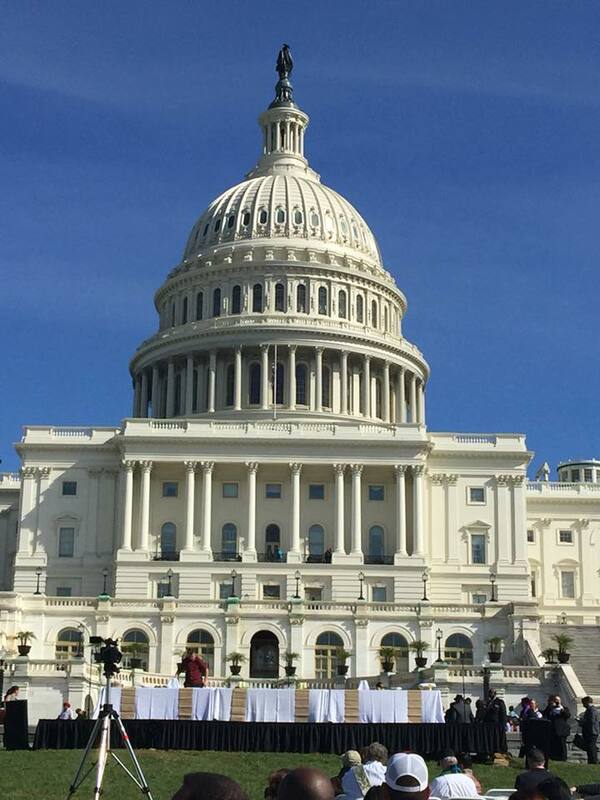 The next day we went to tour the city and found ourselves at a multi-denominational reconciliation service on the Lawn of the Capitol. We know that this was a divine appointment. October 14: Sq’ewa:lxw Community Meeting Sardis BC. We have a good representation of all generations at our gatherings. Feeling really encouraged as a family. 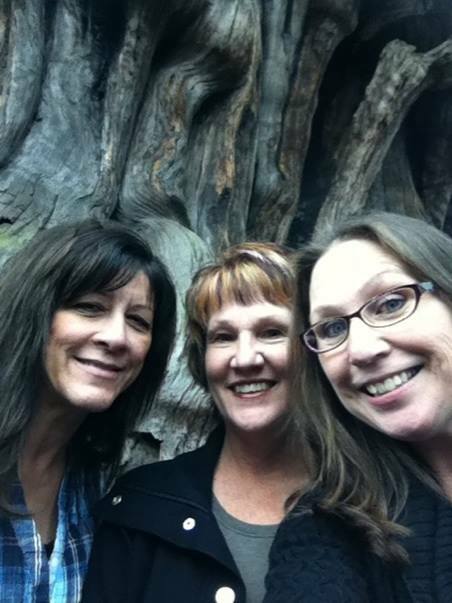 October 5-8, we arrived at the Mission in Vacaville CA for a weekend of story telling and worship. David and Cheryl Tacha do an excellent job of honoring First Nations people while hosting this conference. We met many new people and as always it was good to see old friends from through out the US and Canada. Ocober 5 & 6, we had the honor to stay in the home of Lou and Cindy Silva in Biggs CA. 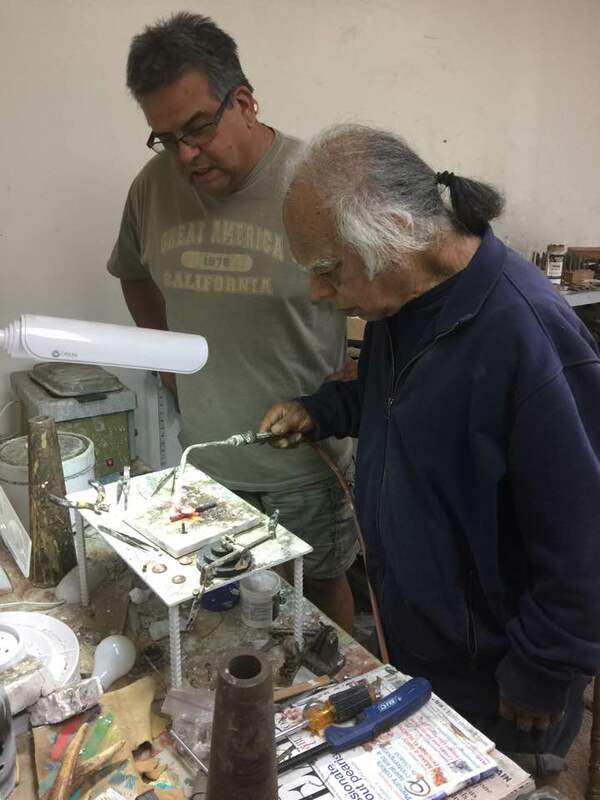 While we were there Jerry had the privelege to learn the basics of crafting with silver from Lou who happens to be a Master Craftsman. Lou also serves the most amazing ribs in his own secret sauce! Suuqiina returned to the Barn for a time of story telling and mini art show. 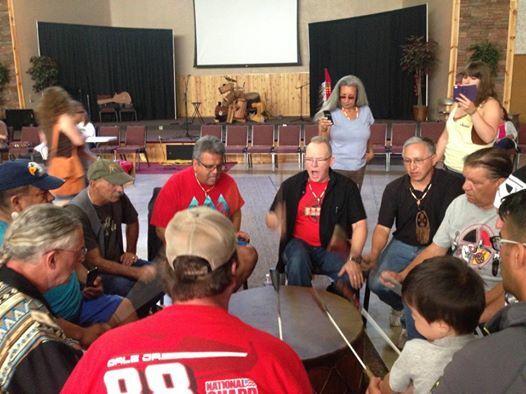 September 16, we headed up to British Columbia for a Sq’e’p, (Community Meeting). 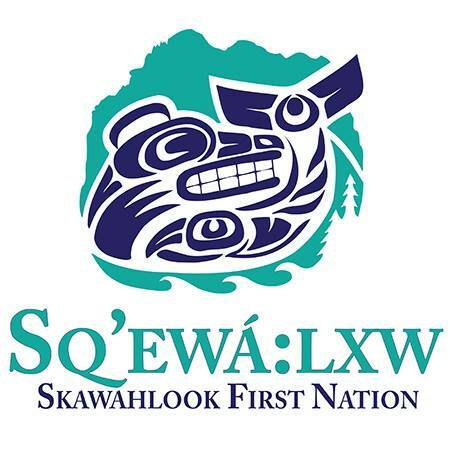 We are encouraged as we as the Sq’ewa:lxw people move forward in our goal of independance. June 17, Jerry was honored to be a part of the first scheduled event at the newly reopened Monticello Hotel joining believers from our community in a time of worship and declarations of blessings over our community. 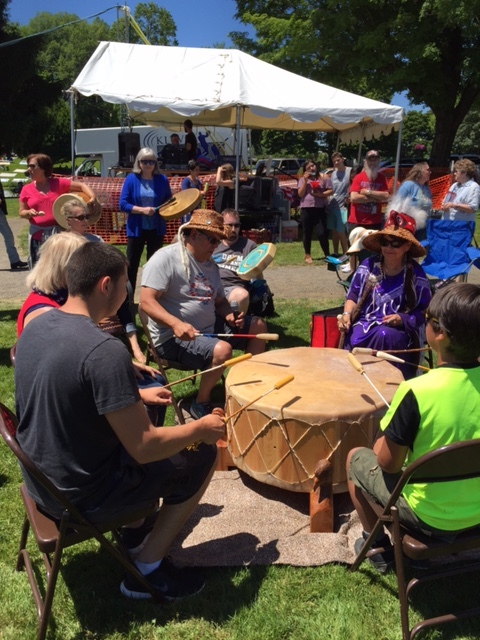 July 1, We brought the Abba drum to Lake Sacajawea to participate as one of several community worship sets during the day. What a blessing to be able to serve our community this way. July 16, Pastor Mark Schmutz invited to share on some of our up coming ministry dates. We were honored to receive prayer and financial support from our friends at Northlake. May 2-3, We attended the KLMA Prayer Summit. The prayer, worship and fellowship times were rich and encouraging. 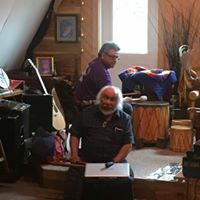 May 18, Suuqiina came to the Barn for another night of great teaching. May 27, Was the Sto’:Lo Nation Names Tour. This was a wonderful opportunity to learn more of the history of our Sto’:Lo anncestors and the land where they were placed by Creator. We aslo had a much needed time of connecting with our Chapman family. We are moving closer to our goal of full time ministry with a favorable increase in prayer and financial support. Thank you friends. If you are not already partnering with us we invite you to become one of our team. Just get a hold of us and we can get you plugged in. 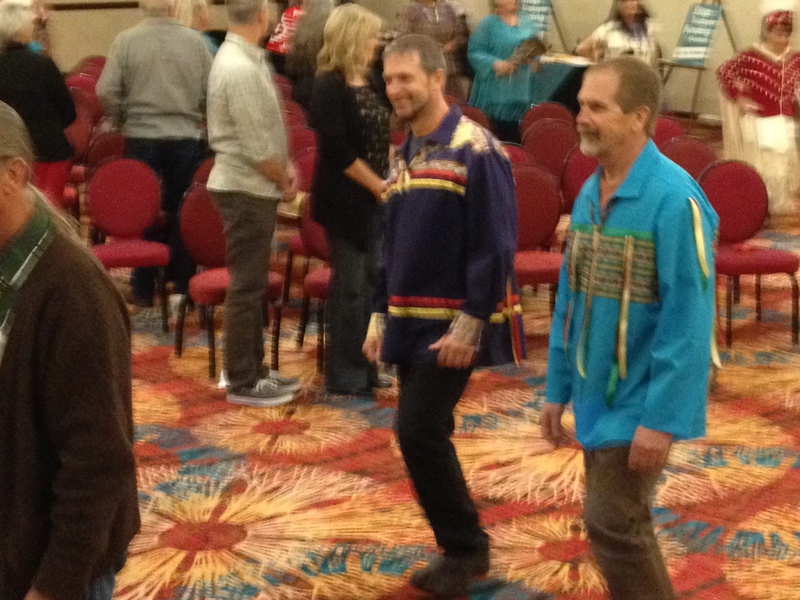 Jerry traveled to Bellingham WA with friend Dale Wheeler to the All native Men’s Retreat April 7-9. It was a fulfilling time of worship and fellowship for everyone. 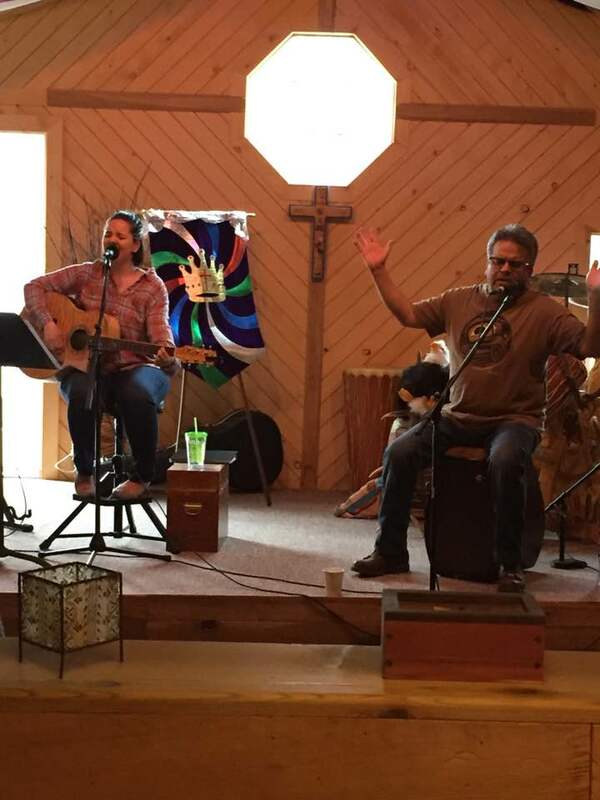 April 22nd we had Courtney Villenueve leading us in an anointed time of worship and a facinationg teaching from Aaron Auer at the Barn. 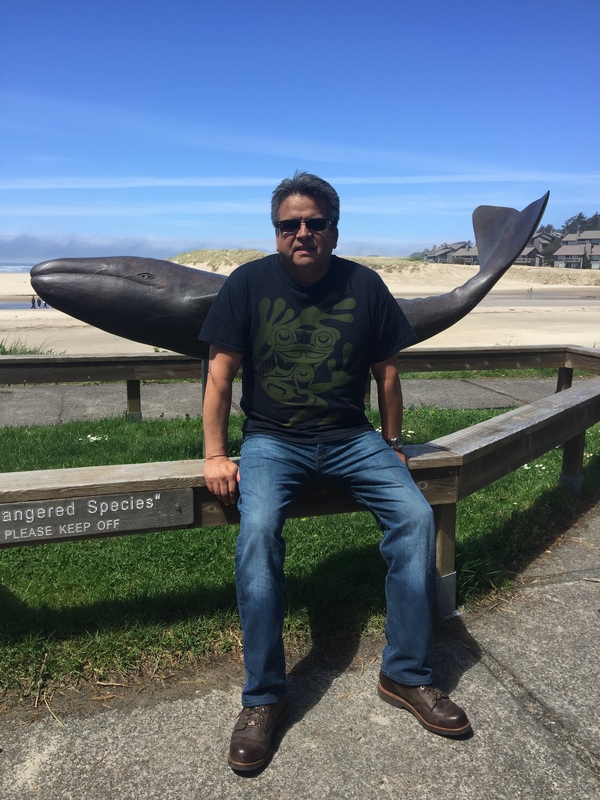 Aaron has done extensive reasearch on the history of our believing ancestors in the Pacific Northwest. Just a quick update from the last 2 weeks. March 2-4 we had the honor to host two ladies from the second year class of Bethel Ministry School. A group of eight came to Evangel to share their ministry with our community. Bethany & Cheryl were a delight to have in our home and the ministry time at Evangel with our congregation was fantastic! March 11, we traveled to Auburn WA to facilitate a gathering at Wabash Church. Some of the congregation are desireing a close relatioship with the Tribal community. We were so blessed to have so many of our friends join us. A big thank you to Pastors Kenny & Charolette, Pastors Gary & Pat, Marie, Sue, Rita, Betty, Pastor Chet & Jean, & Dave for being willing to share your gifts. 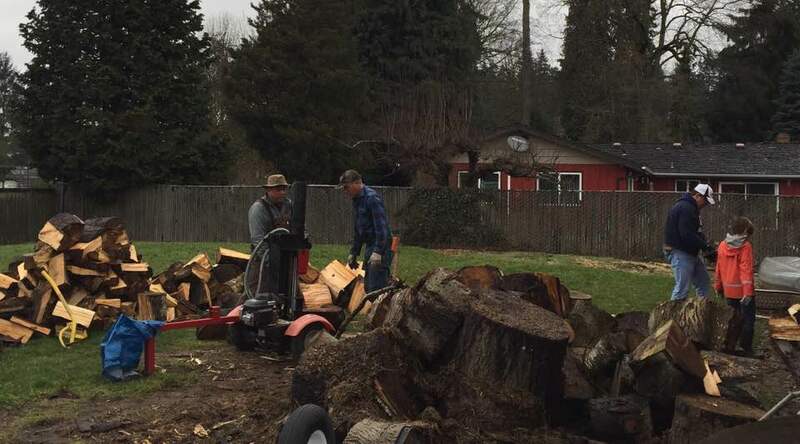 We want to say a Huge Thank You to Jeff, Mike & Elijah for coming out two weeks ago to split, & stack firewood to heat our barn and home. There is alway so much to do to keep this place we call home and ministry center moving forward. We seriously could not keep up without all the help our friends and ministry partners provide. We were blessed to have Suqqinna from Indegeninous Messengers International share to a full house this past Sunday night. It was good to have some new folks come and we always enjoy seeing our regular attenders. The teaching time and fellowship was rich and we look forward to Suq’s next visit. Again we want to thank each of you who support us with your prayers and finances. Please don’t hesitate to contact us if you are interested in coming along side us in this adventure we call ministry! each of you who support us with your prayers and finances. 2016 was a busy season. 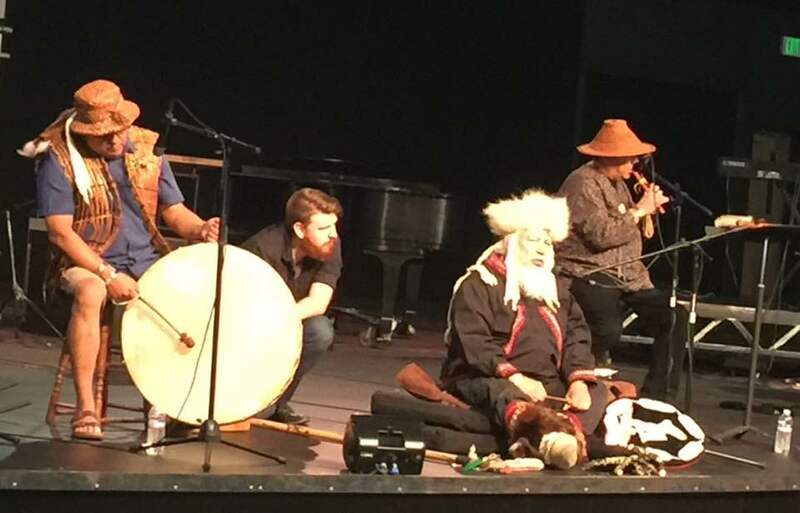 Ministry took us from Los Angeles for the Azusa prayer gathering to the northern most part British Columbia for the Stikine gospel music festival. 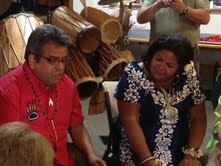 There were weddings, pow wows, seminars, retreats, healing meetings, prayer summits and memorial services. Each event bringing us together with family, old friends and meeting many new friends as well. All of these things being packed in vacations and holidays. When we look back at our schedule we area amazed how Abba took us thousands of miles in such a short amount of time. The blessing of it all was that He allowed us, and those we ministered with to share His love, passion and compassion as He restored and renewed so many. As we look forward to 2017 we already have many things lining up on the calendar. Jerry is still driving truck full time and Leslie is rustling grand kids and coaching baton. We are diligently working to prepare for Jerry’s retirement from the driving job. This in itself is a job! So many details we really haven’t had time to think about, but now realize the clock is ticking down. Please pray that we can get our ducks lined up! We are also going to need a considerable increase in financial support to make this happen as Jerry’s scheduled full retirement isn’t for another 3 1⁄2 years. We are looking for people who are willing to partner with us on a consistent basis. We have had a handful of individuals who have supported us from the beginning of our ministry. These people have helped us in keeping the ministry moving forward for many years. For us to go full time it will take a sizable increase. Please pray about being a regular contributor in this ministry that Abba has allowed us to steward. We would be happy to meet with you to discuss your involvement. As far as our Barn ministry goes Jerry is still building drums and ministering to the guys that need a safe comfortable space. 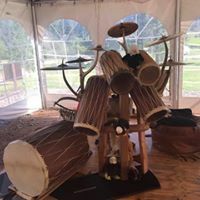 Jerry is taking orders for all types of drums, if you are interested in purchasing one just send him an email to get the conversation started. We have had a couple of meetings and are praying into having more activity in the Prayer Loft in 2017. We are also happy to open for those who need a place for small gatherings or just a quiet place to pray. We want to send out a special thanks to Love Inc., who once again came to help out on the property. This year splitting endless amount of firewood to heat our barn and home. Please watch our itinerary for future ministry dates. We would be happy to have you join us on this amazing adventure. We are so thankful to Abba for all the opportunities he provides for us to serve him. Thank you to all of you who support us in prayer and finance, you are most important in making our ministry complete. We would also like to acknowledge Love Inc. under the directorship of Larry Russell, they have put countless hours into our Prayer Barn and the property surrounding it. This year alone they spread fresh rock in the driveway, did the finishing work on the fence, added an outside door and stairway from the prayer loft and resurfaced the metal roof! Thank You! Our prayer is that you will be blessed and see Abba move in an even greater measure in 2016. We look forward to partnering with you all again. Following, you will see a short overview of some of our ministry opportunities of 2015. Enjoy. 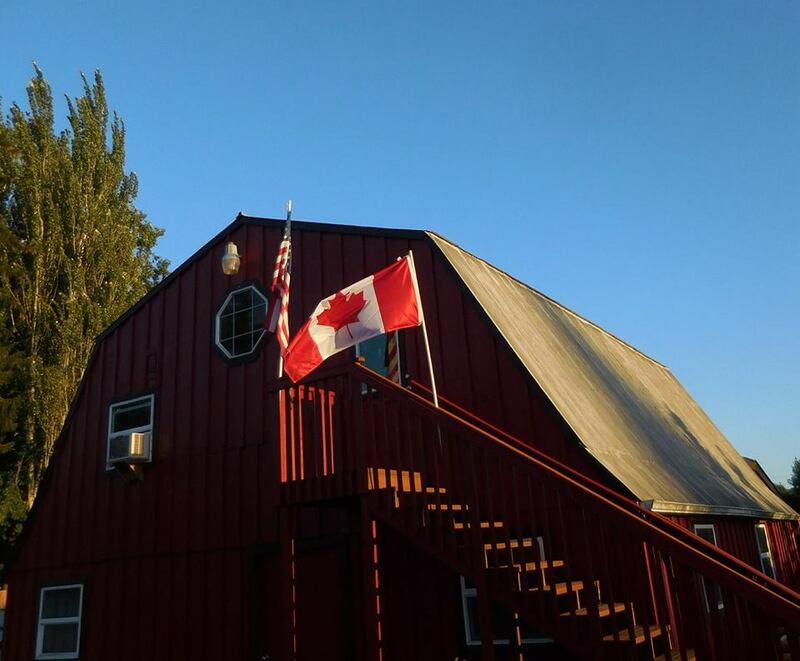 Wednesday Nights throughout 2015 we have been hosting weekly pray in the Loft at our Barn. We are praying about what that will look like for 2016. 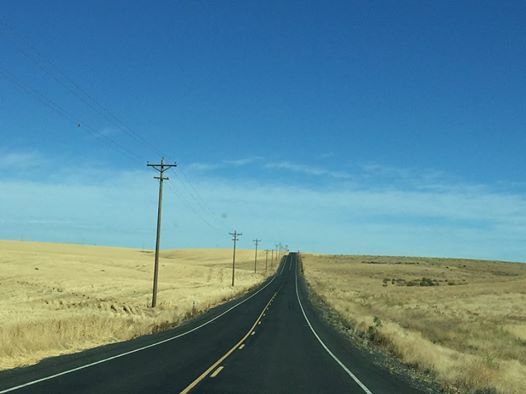 January 8-10: We attended the “What is God Saying for 2015?” in Albany Oregon. This was a time of refreshing and encouragement. We also had the opportunity to meet with strategic prayer team members. 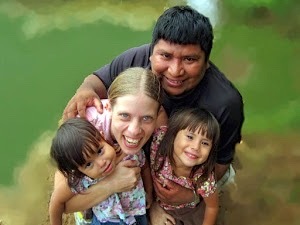 January 16: YWAM Missionaries from Panama Alex & Jennifer Cabezon shared at the barn. Alex is of the Wounaan people Jennifer is a Native of Oregon state. We shared song, dance and protocol. A heart connection was made and we look forward to the time when we can host an even larger team from Panama. January 24: Three Rivers House of Prayer Anniversary Celebration. We continue to be active in perusing 24/7 prayer for our community. February 6-8: All Native Men’s Retreat Bellingham WA. 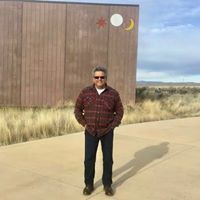 This is a time for native men to connect spiritually in a safe family atmosphere. Sharing their life experiences and wisdom. February 15: JCM annual board meeting. We are thankful to have a diverse board bringing their experience and wisdom to our ministry. They bring encouragement as well as challenging us to walk out Abba’s plans and purposes for us. February 17-18: Conference at our home church with Justin Abraham exploring “Impacting Spiritual Realms”. This was an amazing time of encounter with Holy Spirit. March 5: Suuqiina returned to teach at the Barn. We love how he shares the Hebrew culture from the NDN perspective! Suq is a dear brother and we’re honored to host him. March 21: Family Gathering in Ruby Creek BC. We are so thankful for the support of Jerry’s family. His sisters and brothers are always an encouragement. He always looks forward to going home. April 18: This was the day of our dear friend Theresia McCleary’s going home celebration. 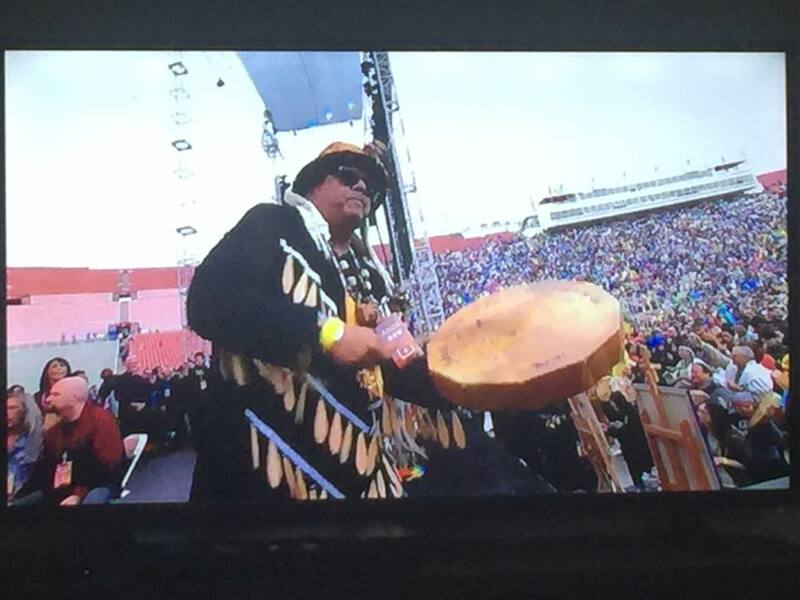 Per her request Jerry led worship on the Abba drum including a grand entry with First Nations dancers. 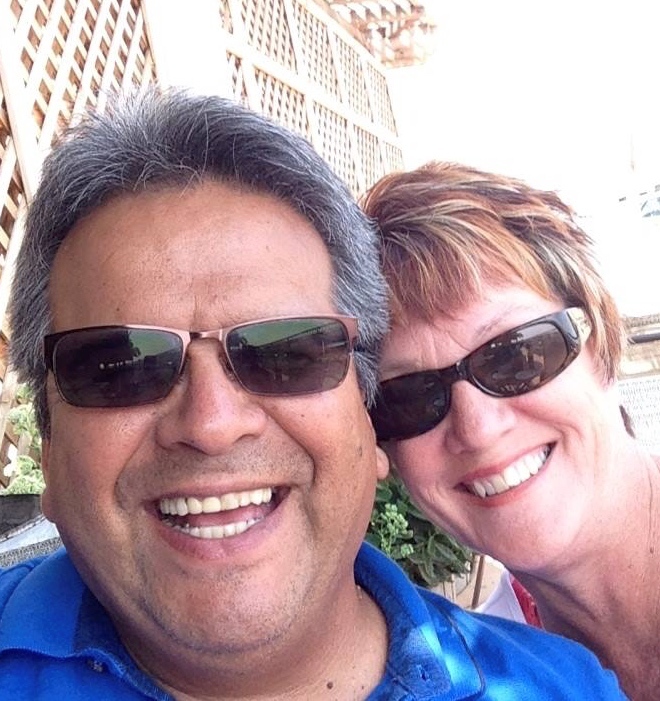 Gene McCleary along with Theresia has been an integral part of our ministry. Words cannot express our appreciation for this couple. May 2: Whirlwind worship at Vantage WA with James Nesbitt. This was an afternoon of powerful and intense worship and intercession bringing a “New Sound” and a release of prayer strategies to the Pacific Northwest. 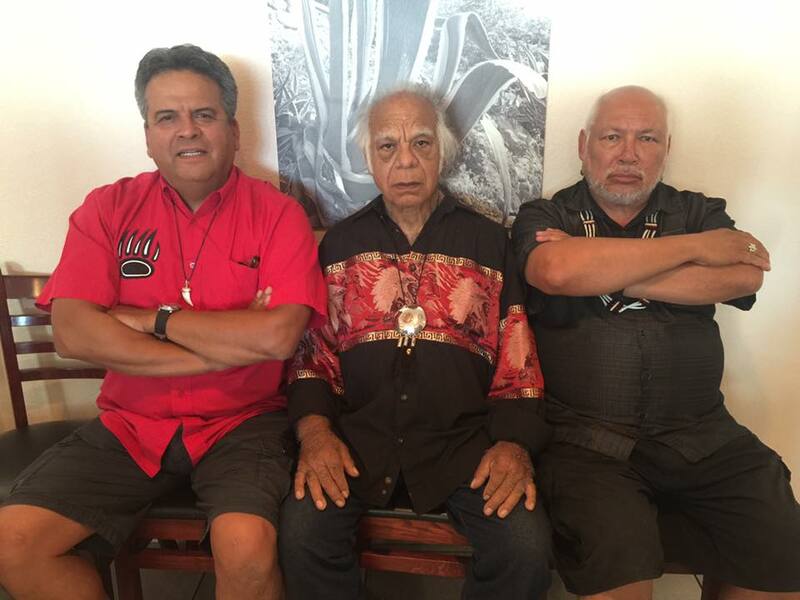 Jerry was invited to drum with the traveling team bringing First Nations representation. May 12-14: KLMA prayer retreat. A much need time to connect to with our ministry family in the Kelso/ Longview community. During our prayer time we contacted the Chinook Tribe asking for specific prayer requests on their behalf. We as a community agreed to pray for, encourage and support the Chinook Tribe. 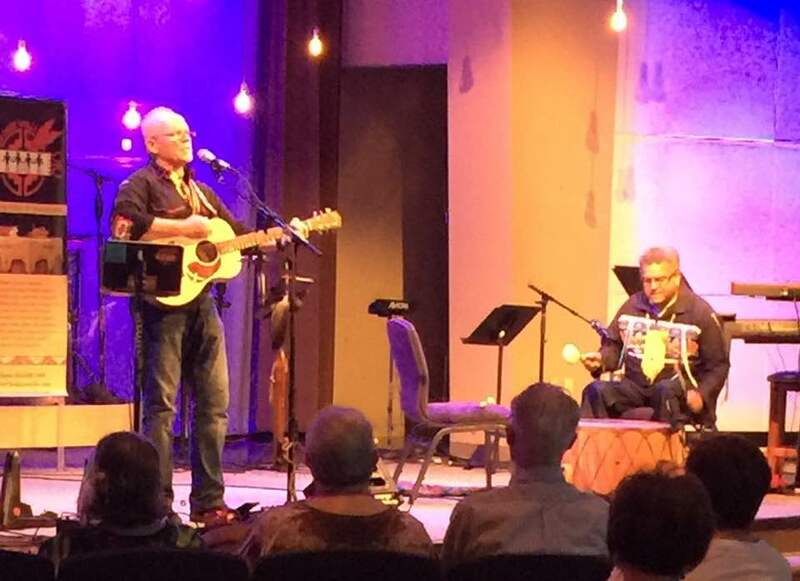 May 23-24: Partnering with Grammy award winning recording artist Bill Miller in Eugene Oregon was a highlight in Jerry’s music ministry. 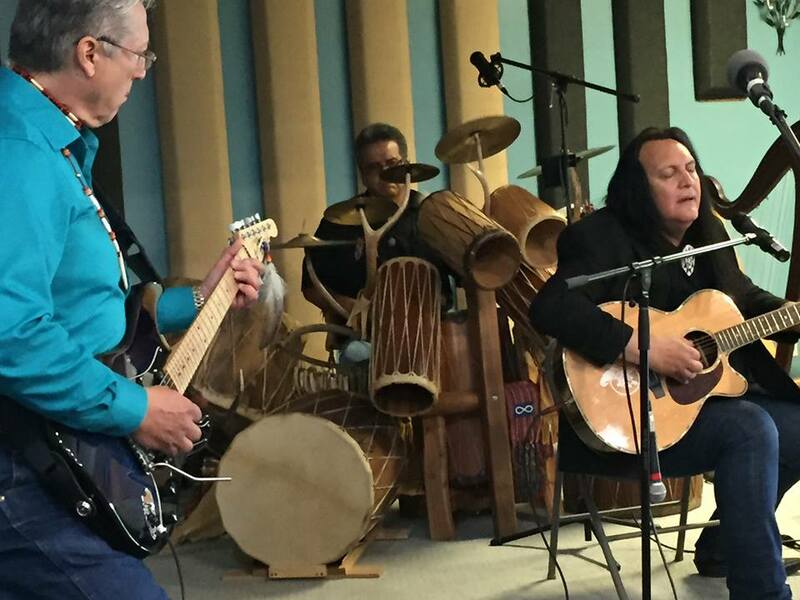 “A real learning and growing curve.” Bill is a respected musician in the professional music world and has much to offer especially to the First Nations people. Thank you Bill Miller for sharing your stories and music with us. May 31: Worship and service with Bill Miller at Muckleshoot Pentecostal Church in Auburn WA. 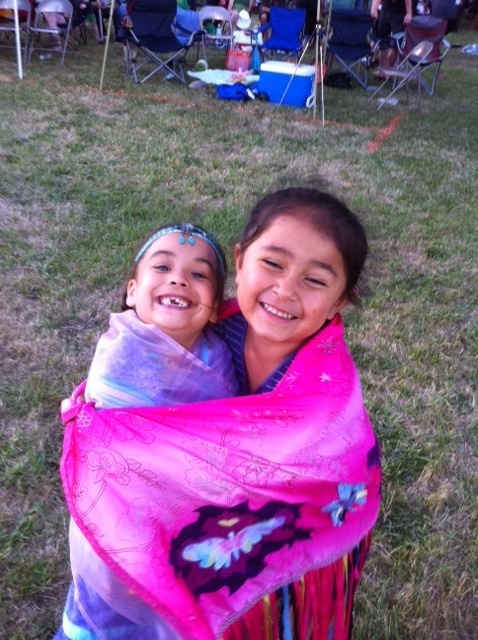 July 24-26: Wiconi Family Camp and Pow wow, our largest Native family reunion was as much fun as always. Recognizing Yeshua at the heart of our culture expressed in traditional ways and customs. We are all learning to walk together and honor one another in our unique and individual ways. The whole family engages together sharing strengths and weaknesses. Worshiping in the children’s ministry as well as partnering with recording artist and friend Jonathan Maracle is always a blast. Our prayers and blessings go to our NDN family. To the Wiconi staff, our hands go up to honor the hard work you do to provide a safe family place for believers and pre-believers alike. August 8: Worship at ANNA Prayer Initiative at Muckleshoot Pentecostal Church Auburn WA. ANNA Initiatives: are gatherings that are being held throughout 2015 & 2016 leading up to an overall Joel 2 sacred assembly in October, 2016. We are believing for 100,000 Native Peoples to come together in unity in fasting, prayer & crying out to the Lord to heal the people, land and the nations. 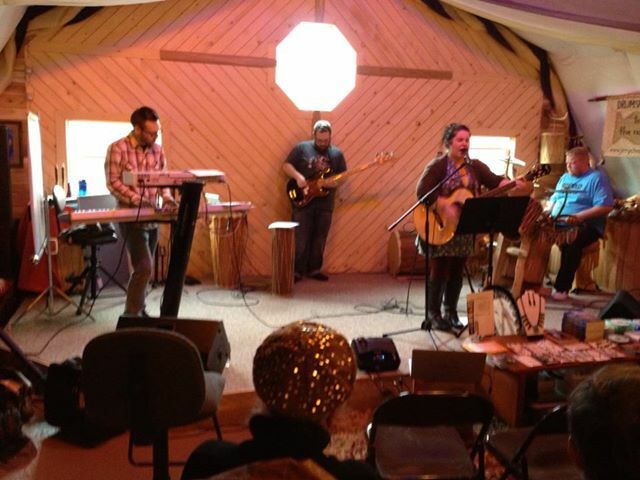 representative of HAPN and her team for a strategic prayer and worship gathering at the Barn. We declared God’s promise that this place and region would see an awakening and a fresh wind of the Spirit. September 19: We attended the Honoring of All Cowlitz People Pow Wow. Jerry’s Sister Chief Maureen Chapman and his brother Monty came down from Canada to attend the event with us. 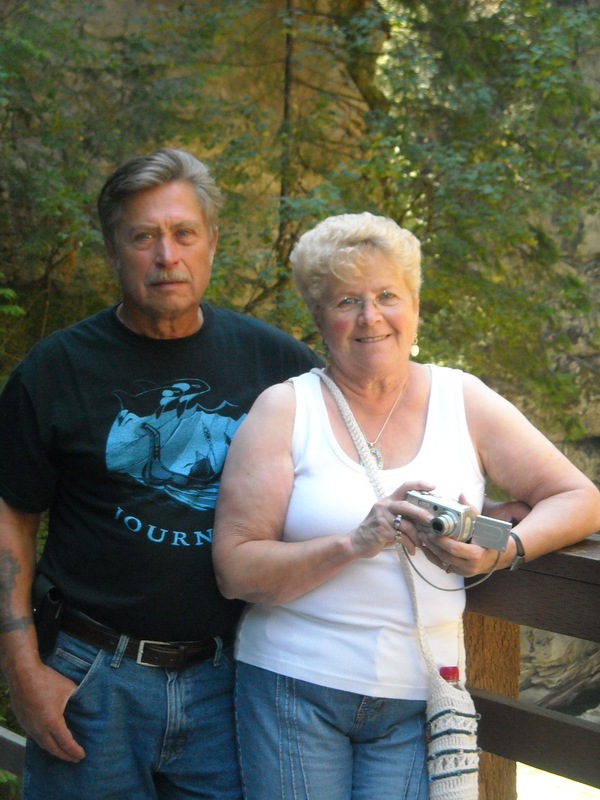 The Cowlitz have been Jerry’s “family away from home” for many years. 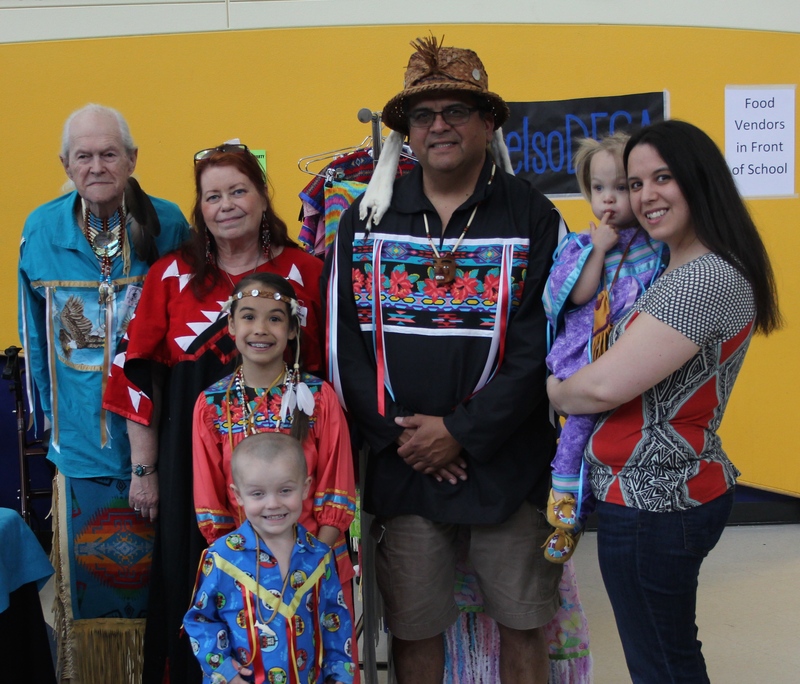 We are always honored and blessed to take part in the Cowlitz people’s gatherings. Restoration. 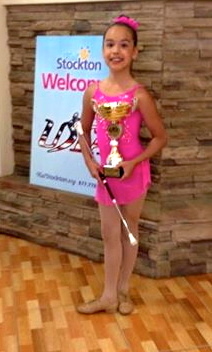 The event took place in Vacaville CA and was hosted by Mission Church. This is a church with a vision to invite and serve the nations. To witness and participate in the worship at this event was both amazing and moving. The over whelming spirit of love in this gathering was felt by all. It was good to connect with many dear friends and begin new relationships. We are looking forward to future partnerships as a result of this gathering. We were honored, to be commissioned by Grand Chief Lynda Prince to bring the 120 drums for a special ceremony during the conference. 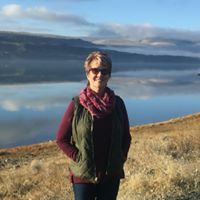 October 25: Leslie has been serving at the Three Rivers House of Prayer for just over 8 years where members of our local community committed to gather for prayer. After all this time we finally have been blessed to have a director to lead this vital ministry. Ian & Nedra Rutherford and their 7 children have relocated to Longview from Kanas City MO where they were full time prayer missionaries with I HOP. The Tri Hop Board asked Jerry if he would facilitate the protocol of welcoming the Rutherfords to minister here in our community. Cowlitz Tribal council member Patti Kinswa Gaiser along with 6 Cowlitz singers joined us the welcoming. What a blessing! 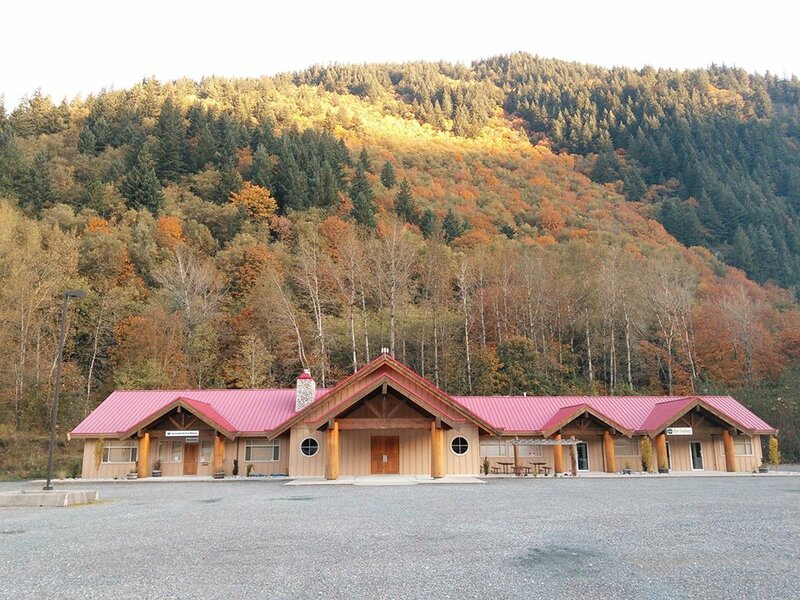 November 6-8: Arise and Shine Native American Conference at Muckleshoot Pentecostal Church in Auburn WA, November 6-8. We led worship along with Tony Flying Squirrel and Bob Ledbetter. The conference was well attended with many gifted teachers including Grand Chief Lynda Prince. Pat & Gary Walker and Kenny & Charlotte Williams did a great job putting this event together. There’s a saying a that goes like this “a picture paints a thousand words” Here is our 2014 review with pictures and a few words. This year brought us a lot of joy and also sorrow. Leslie’s mom passed on to be with Jesus in April. We miss her everyday. 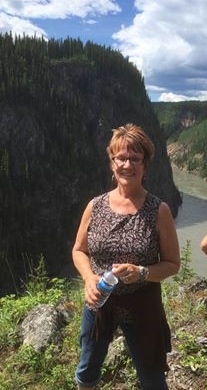 It was a pleasure to have Jerry’s sister Maureen join us as we followed a leg of the 2014 canoe jounery on Vancouver Island. 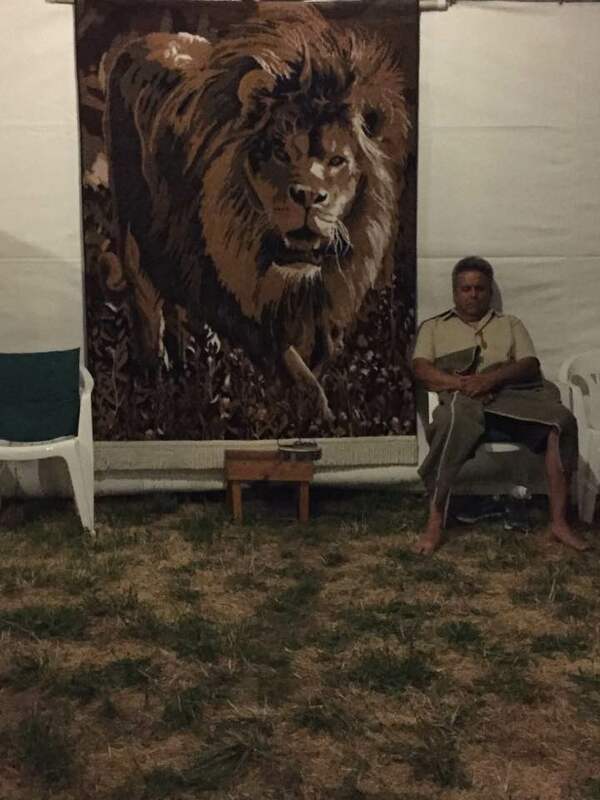 Family Camp was a great time as usual. Reconnecting with many friends and associates. We were so happy to be invited to the Selitz Potlatch. There was such a sweet presence of Creator there. The tribal grounds are pristine and the weather was beautiful. Dean Braxton returned to teach at the Barn this year. What a testimony of life after death and his personal encounters in heaven. Suuqiina came for two more teaching times at the barn this year. Abba gives him such a unique and fresh revelation every time he teaches. Jerry’s sisters planned surprise 60th Birthday party at our house. He just about had a heart attack when family member from several hours away screamed SURPISE ! A good time was had by all. A big thank you goes to Love Inc. team for coming out and healping Jerry finish the gigantic task of finishing the fence project. We had an amazing God experience in San Deigo CA. Jerry was comissioned to build and deliver 5 Abba drums to be played on a roof top over the city on the evening of Sukkot. 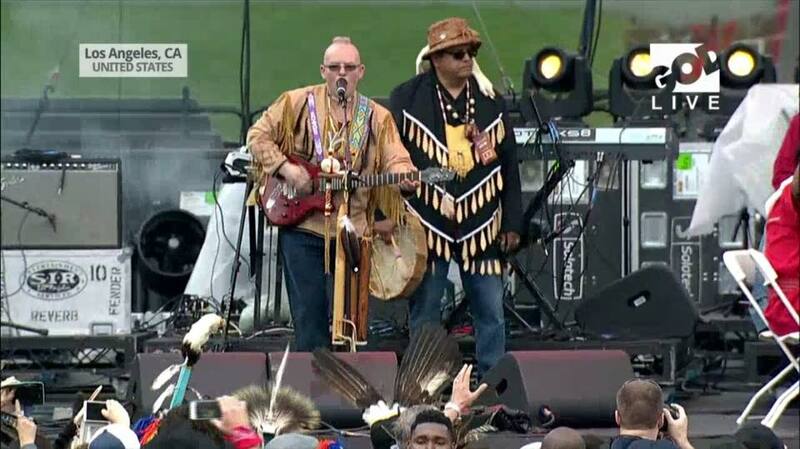 There were First Nations people on all 5 drums, worshiping Creator and calling forth blessings over the city. 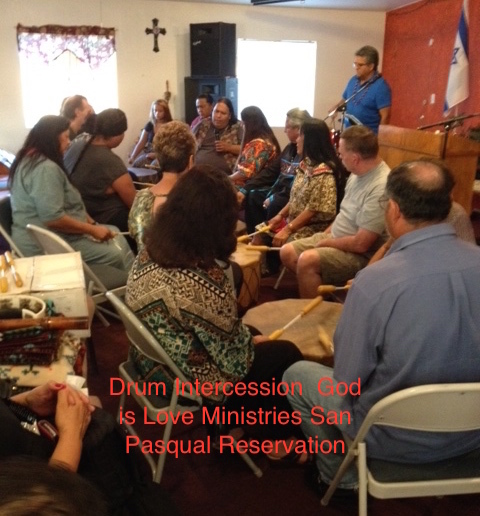 The next day we traveled to God is Love Misistries on the San Pasqual Reservation and spent several hour in drum intercession. Did I mention this is what we were created for? Here’s a quick look at what happened in 2014. April: Ruby Creek Elders Gathering. YWAM Mongolia Fund Raiser, Gig Harbor. May: KLMA prayer summit. In Honor of our Children Pow Wow, Kelso. June: Canoe Journey Vancouver Island, BC. 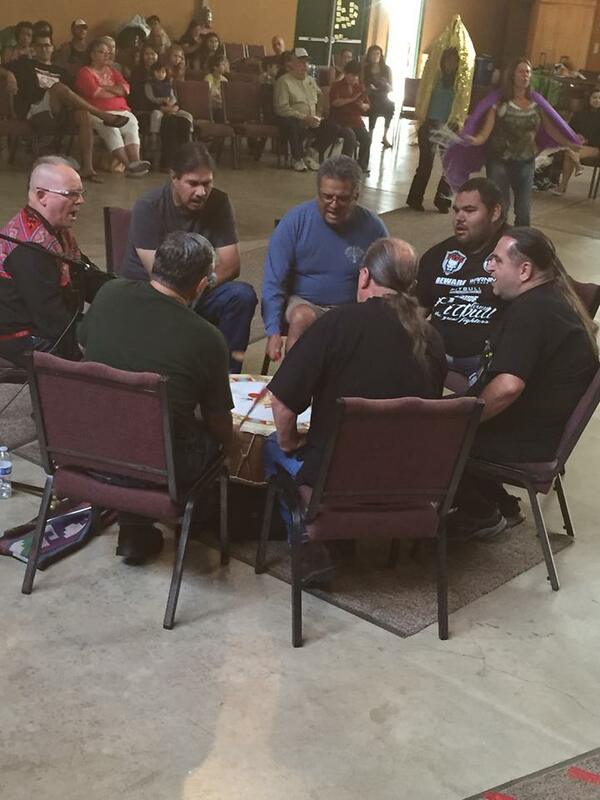 October: San Diego Prophetic Drum gathering. Suuqiina taught at the Barn. November: Tribal members meeting Ruby Creek. 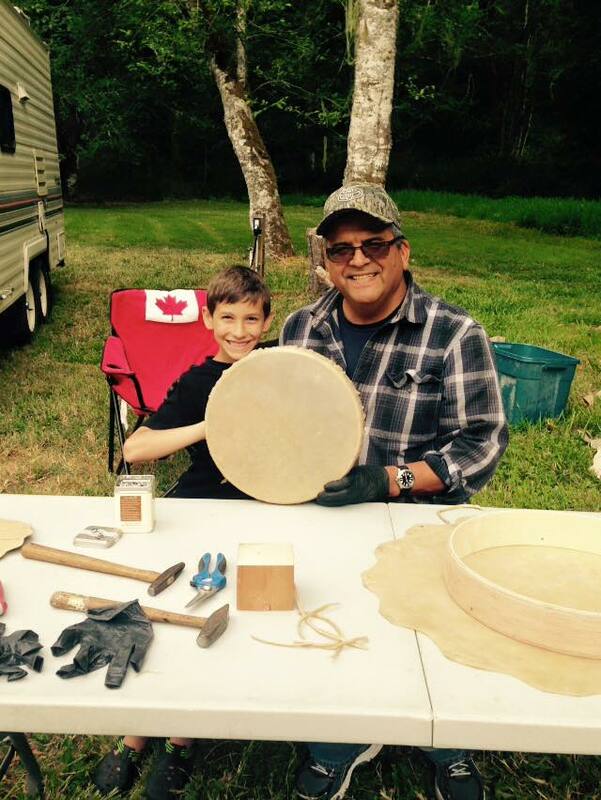 Siletz drum building class. Trying to keep this short but informative here are a few things not represented in picture. We have discovered that when you are in the midst of ministry its really hard to take pictures. Leslie is still active with the Three Rivers House of Prayer here in Longview. She continues to serve on the board of directors. As well as attending a couple of mornings a week and being a part of as many prayer gatherings as our ministry and grandchildren’s schedules allow. We both have sensed a more urgent call to intercession and have opened the Barn up for prayer on Wednesday nights from 7:00 to 8:30 pm. All are welcome and those who cannot attend and need prayer can contact us and we are happy to include them in our prayers. We are finding ourselves in more prayer assignments than we have in last several years. We both are blessed by the encouragement of the pastors and the congregations in our community. We know it is not common to have some many ministry leaders committed to supporting one another. There is a moving of the Spirit in our community and we look forward with great anticipation to what the Lord has for us here as well as what he will have us bring to others as we travel. Words cannot express how thankful we are to have you all as prayer and financial supporters. This ministry would not be the same without you. May the Lord Bless you with dreams and visions of the perfect plan and purpose he has for your lives. And the guidance and provision for those things to come to fruition. 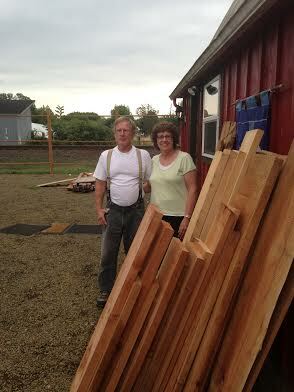 There have been several people who continue to support us with their labors, please remember them in your prayers. Our worship team Mike and Rene Greely and John and Vangie Brown . Those who are there for special projects include, Gene & Thersia McCleary, Gary Eastty, and Bruce Calhoun. Also our ministry board Dave and Nancy Bodine, Lennie Retterath, and Dave and Janice Rorden. Thank you to our city apostles who stand behind us with prayer, encouragement, and partnership Jeff Hoover, Larry Russell and Mark Schmutz. 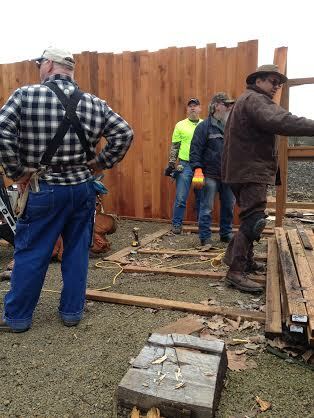 Jan. 15, we had the Kelso Longview Ministerial group up to the Barn for a day of prayer. 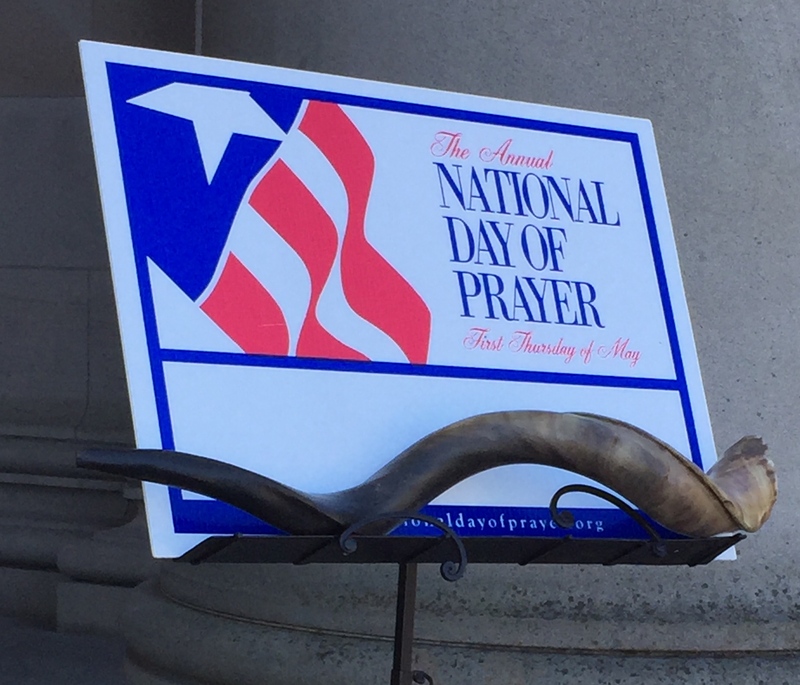 Pastors spending the day together in prayer = a powder keg in the spiritual realm. Mar. 1-3 All Native Men’s Retreat, Bellingham WA, Good time of fellowship with Native believers. Mar. 17 & 18 We once again had the pleasure of hosting Suuqiina at the Barn. 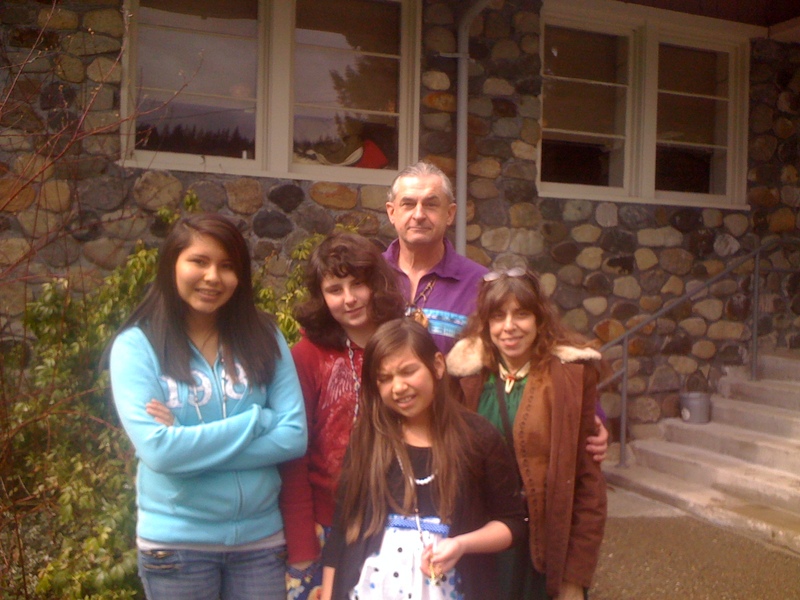 April 6, The Browns traveled with us to Lummi for a day of worship & intercession. Jerry’s great grandfather was born there. 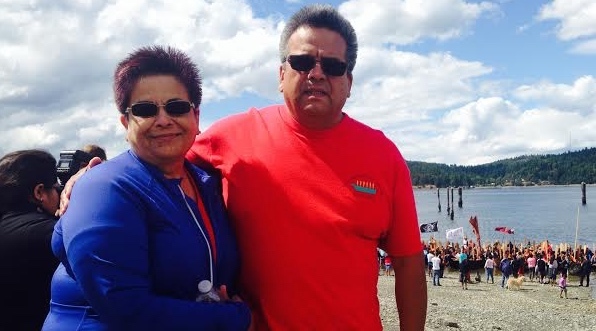 The Lummi people honored Jerry by claiming his blood and welcoming his family into theirs. 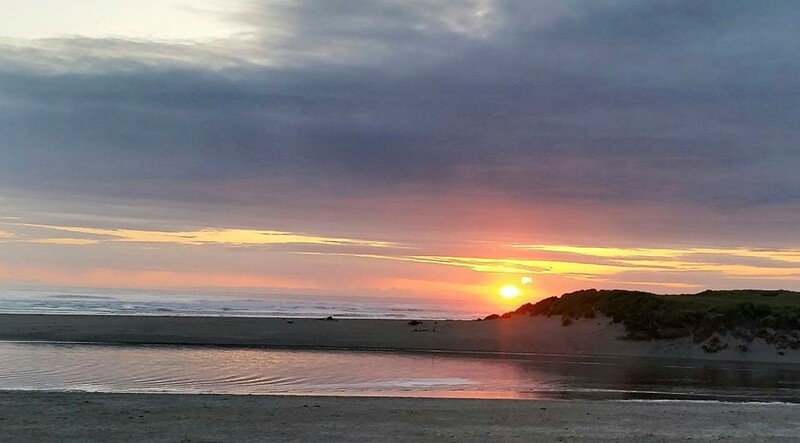 May 14 & 15 KLMA prayer retreat in Cannon Beach OR, spending time with pastors and ministry leaders in a much needed time of prayer and reconnecting. 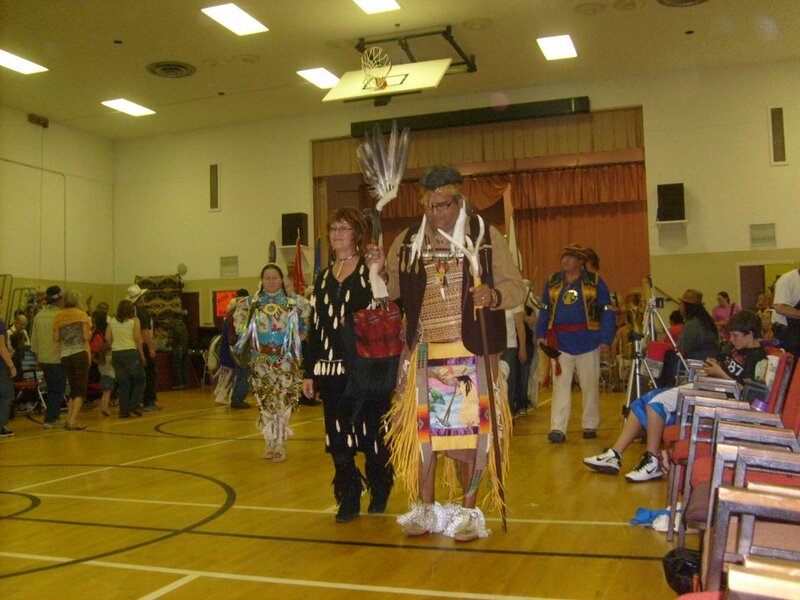 May 18, Kelso school’s kid’s Pow Wow. Always a good time for all. Please pray that there will be more volunteers to keep this educational event going. 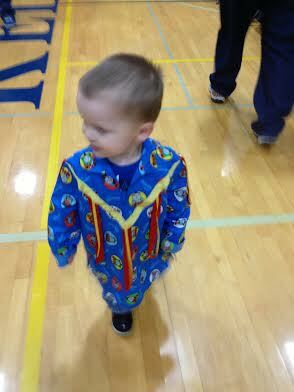 This is our grandson Presley wearing his new Thomas ribbon shirt. May 24, House of Covenant Bend OR, What an honor and blessing to worship with this congregation. Adam Spears pictured tying the Tzizit on Jerry’s prayer shawl. 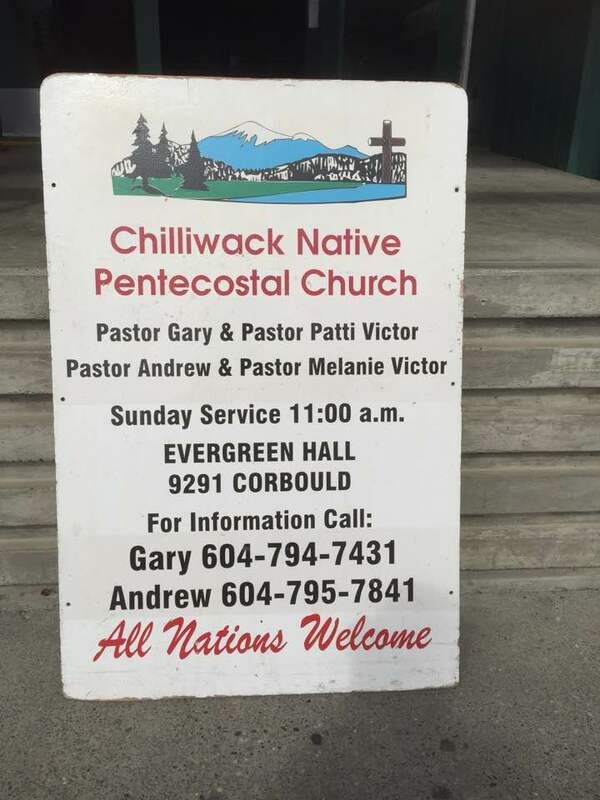 June 1, Gathering in Chilliwack BC, the BC gatherings are growing spiritually as well as in numbers. June 13-15, we were honored to assist Lynda Prince with another prophetic conference at the Tswasson Long House in Tswasson BC. June 22-23, Seletz Baptist Church, We love our family in Siletz and enjoy partnering with them in this Kingdom work. 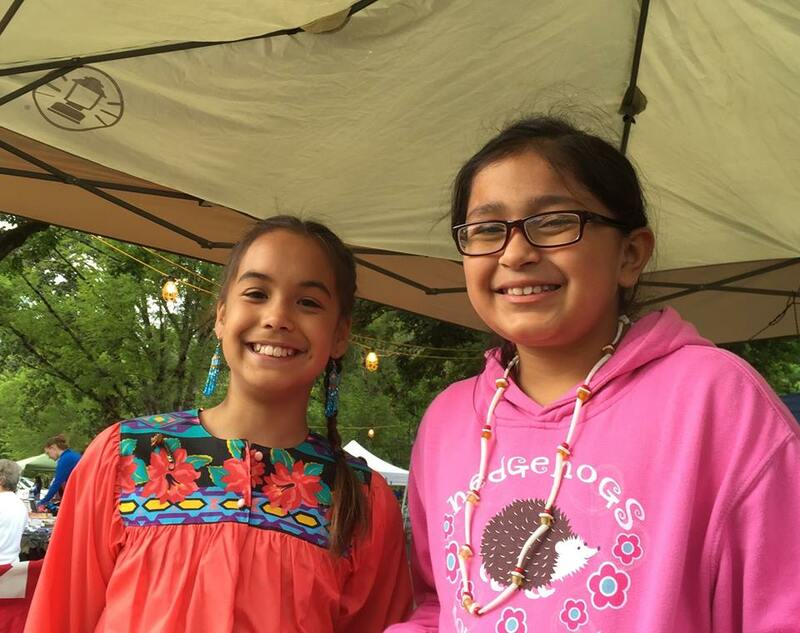 July 26-28, Wiconi Family Camp, Always the best for connecting with friends and family. 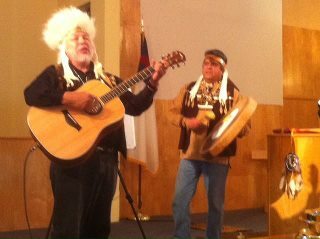 Had a great time of worship Sunday morning with Elmer on flute and Jerry on drum. We missed Richard Twiss more that words can say. Our prayers are with Katherine daily. August 10, Omak Stampede, Our ministry took place on a stage set up directly in line with Rodeo foot traffic. We made good connections with ministries new to us. We were also blessed with some great recreation, camping, swimming and attending the Rodeo. October 4 & 5, Native American Christian Conference, at Seven Feathers Casino. Our team enjoyed this one. Millie Salt does an excellent job of facilitating and there was plenty of room for the moving of Holy Spirit. 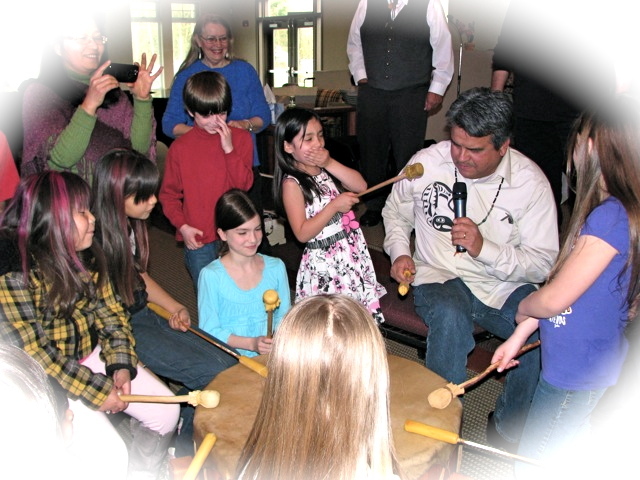 October 17-20, Youth drum building workshop at Ruby Creek. 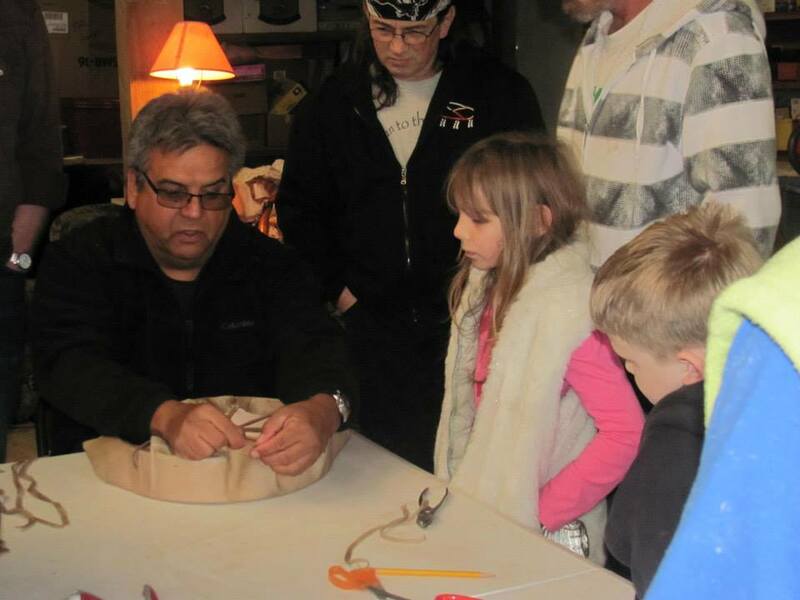 Jerry was born for this, the kids had a great time and so did we. A big thank you Sharon of Skawahlook for putting this together. November 30, Mission BC Gathering. This gathering was years in the making, God’s timing was amazing. We met so many people and made some real soul connections. We look forward to the next one. Thank you all for your prayers and finical support. We are are honored to be able to serve and your support makes this all possible. We have many praise reports for this year First of all for health and healing. Jerry injured himself resulting in a torn meniscus. Knee surgery was expected but with much prayer and intercession on his behalf he was healed!!! Later in the year doing some heavy lifting and Jerry suffered a hernia injury. Once again surgery expected and actually booked, the results of more prayer and intercession was Healing! Finally a severely sprained ankle had Jerry once again in terrible pain. But after more prayer intercession and physical therapy, healing!!!! THANK YOU JHOVAH ROPHI our healer. We are also very thankful for Jerry’s employer Lemmon’s Trucking who always found work for him when his wasn’t physically able to do his regular job. This is a company that runs on Kingdom principals and their continued financial growth and loyalty of their employees is testimony to that. More blessings for the ministry include being able to finish our gravel parking lot for the barn. There is now framework up for a fence. We have new 2012 Toyota Tundra pick up that hauls passengers as well as drums. Finally we have purchased a small travel trailer for those trips where we need our own lodging. We are blessed! The words thank you do not seem enough to express our gratitude, but we are truly thankful. Thank you for your prayers, your financial support and your love. Without them we would not be able accomplish all we are called to. Please scroll down to see our 2012 ministry report. 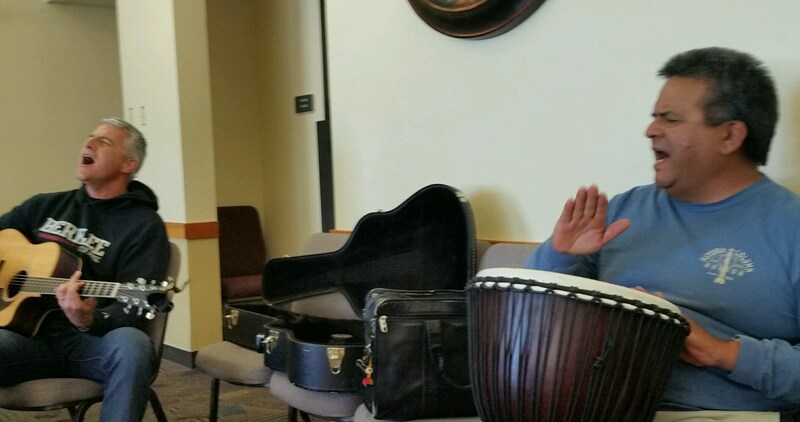 January 20 & 21 Jerry returned to Missions Connextion as percussionist for the worship team. 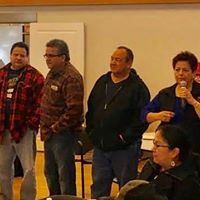 February 25 We went to the first planning meeting for the Awakening of the Dawn Potlatch. Sunday the 26th we had a service at Muckleshoot Pentecostal Church with worship team Mike & Rene Greely and Francis Barrella. 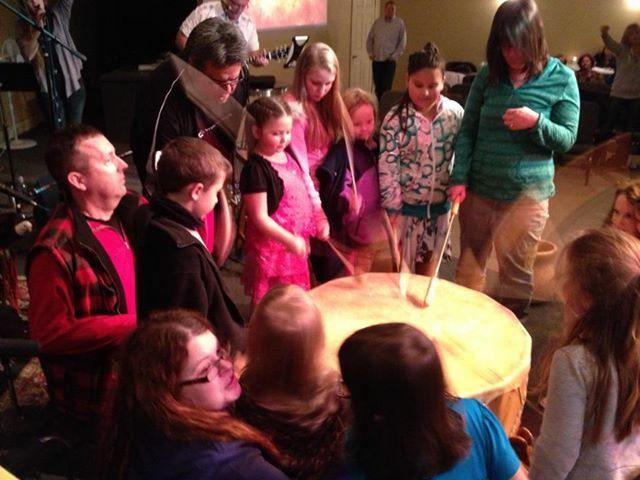 We also had the opportunity to minister to the children and include them in on the dedication of a new drum! March 2-4 Jerry and Francis headed to Bellingham to help with worship at a Native Men’s Conference. They were blessed to be there for teaching with Adrian Jacobs. March 9-11 We hosted Suuqiina in the Barn on Friday night, and then he taught at the local Torah class on Saturday and then at First Christian Church in Kelso on Sunday. 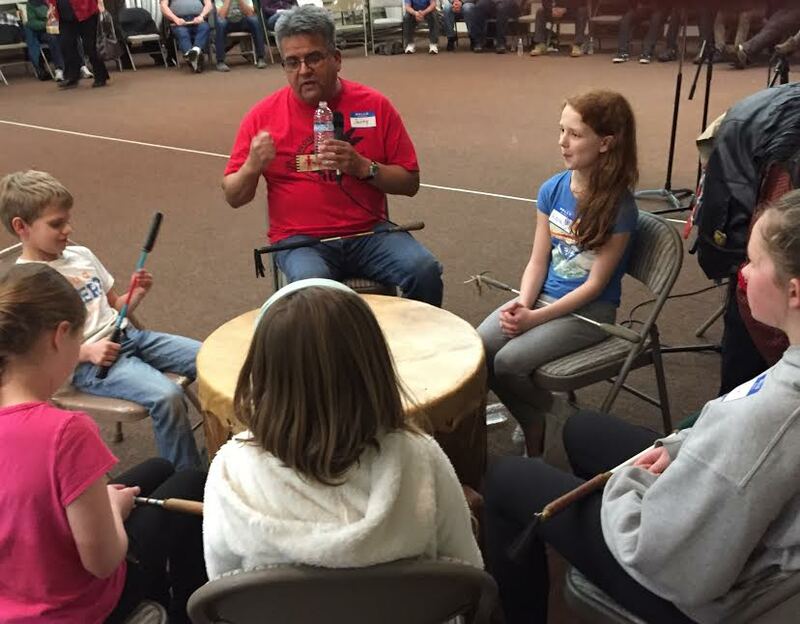 March 29: Jerry had the pleasure to emcee a Pow wow at Green Hill School in Chehalis, Washington. 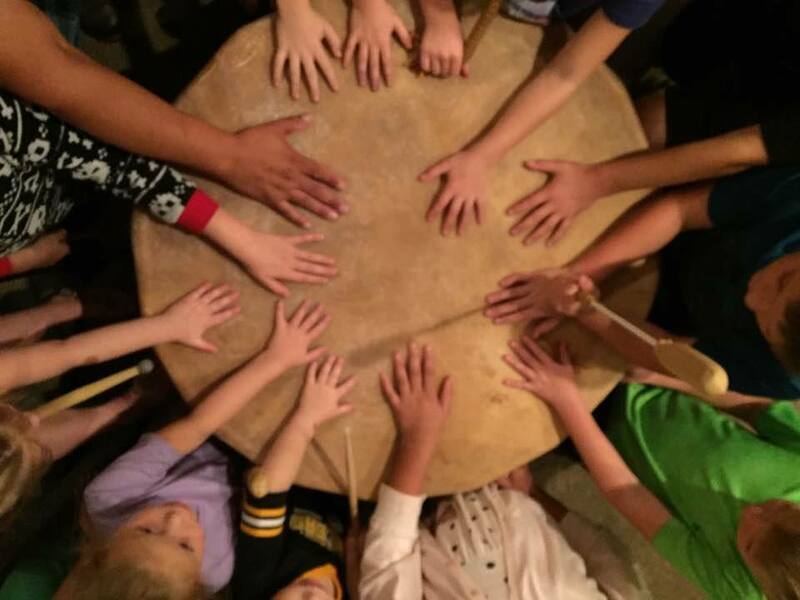 There is a large Native American population at the school and many of the young men are very interested in experiencing things of their culture. It was a blessing for Jerry to be able to serve the students and faculty at Green Hill. April 17: The Kelso /Longview Ministerial association hosted a ministry fair at the Three Rivers House of Prayer. 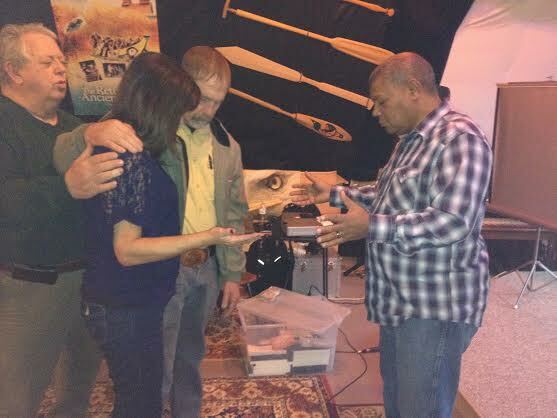 We shared our Native American ministry as well introducing our Prayer Barn to our local pastors and church leaders. The event was well attended and gave a great opportunity to connected with the local clergy. 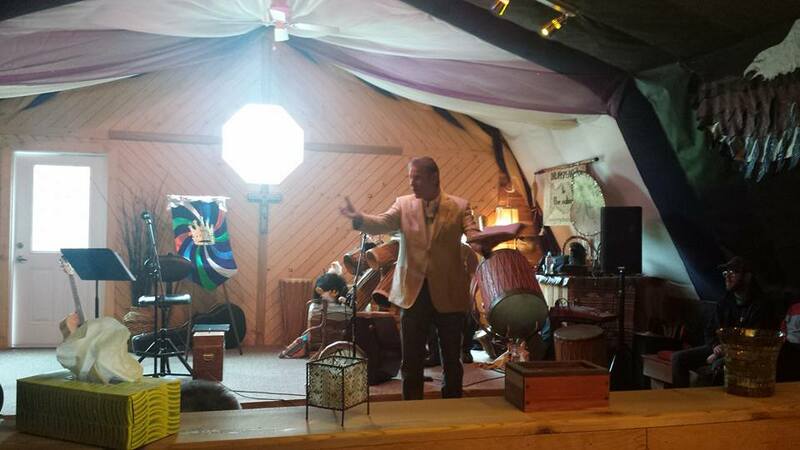 April 21: We had the opportunity to participate in prophetic conference in Seaside Oregon. It was a unique meeting with no agenda, just a time of people from all parts of Washington and Oregon sharing what they have been hearing from Abba. At the end of the day, all who attended were encouraged and blessed. May 19: Jerry was once again the emcee at the In Honor of Our Children Pow wow in Kelso Washington. It’s a great opportunity for the kids of our area to be honored. The Paw wow is always the third weekend in May all are welcome please come and check it out in 2013. 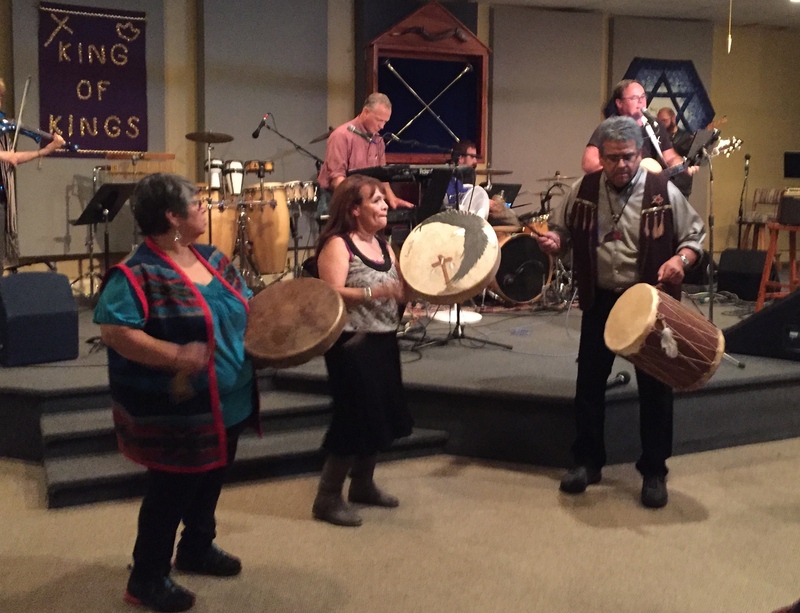 May 26: Our worship team did a benefit concert to raise funds for the Breaking of Dawn potlatch. There was a good turn out with lots dancing and drumming. Everyone had a good time and we raised $700. as well! 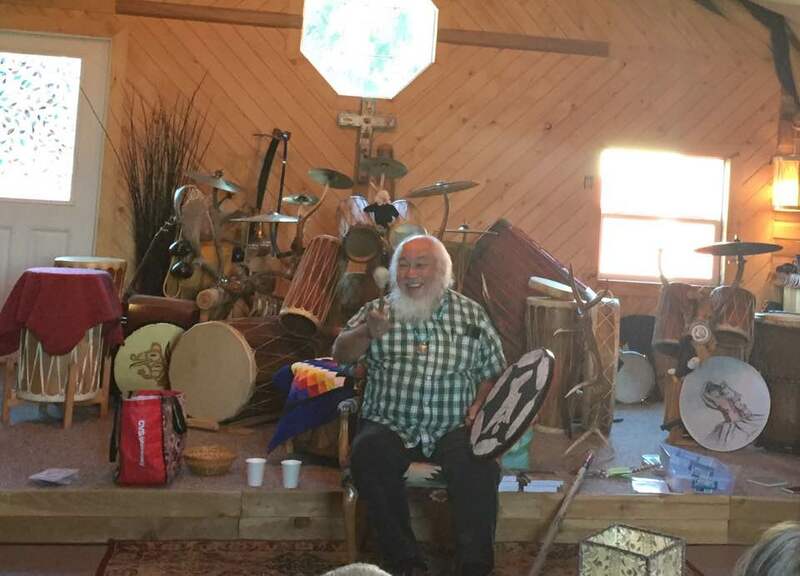 June 9: We traveled to Ruby Creek to share in a gathering at Ruby Creek BC that was hosted by Brander McDonald. Randy and Cheryl Barnetson were also there and finally got to meet Jerry’s sisters. Lots of ribbing for Jerry at the meeting! June 12-15: We attended The Sounds of Heaven. 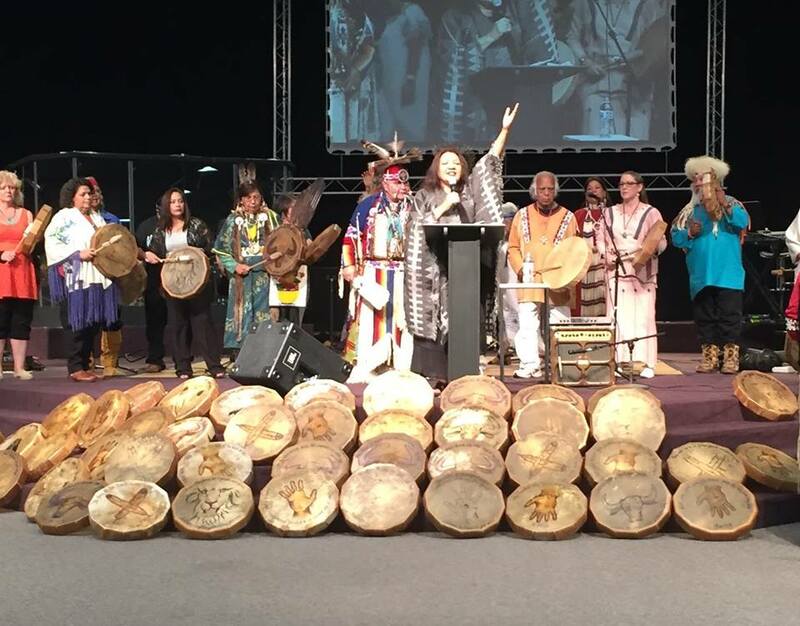 This was a prophetic gathering of First Nations Ministry leaders held in Vancouver BC. Jerry was asked to come and lead and facilitate some of the worship. Lynda Prince called together people from all over Canada the US. This was a time of worship, commissioning and also hearing specific words for us in North American from prophets from Israel and New Zealand. Words cannot describe all that happened. This was a time ordained by Abba himself. 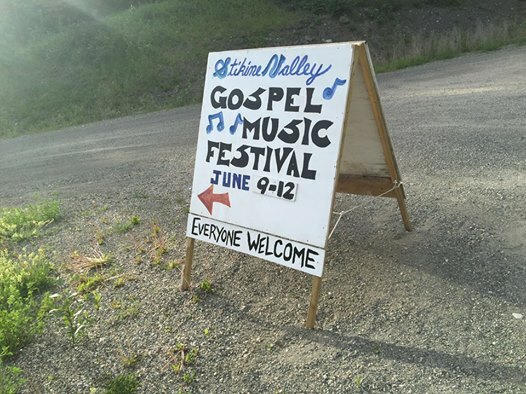 June 22-24: Our worship team traveled to Siletz Oregon to minister with Siletz First Baptist and Scared Ground Outreach. What a wonderful group of people, two congregations joined together. We had three services. There was great expectation for a move of Holy Spirit and that is just what happened. We were blessed by their gracious hospitality. Nice meals and accommodations. Our hosts literally moved out of their house to accommodate our whole team in one place. We look forward to meeting up with people of Siletz again. July 7: Jerry Officiated a wedding for one of his co-workers. It was a lovely home wedding. We continue to pray our blessing over these newlyweds and their lives together as a couple. July: Leslie’s dad passed away in July, EuGene Aurther Niemi September 24, 1930 to July 26 2012. Gene had not been well for some time. The Lord honored him as in just one week’s time of him saying that he wished to die, he was taken from pain and suffering and into the arms of the Lord. July 20-29: We joined the Chinook tribe working as ground crew on the Paddle to Squaxin. 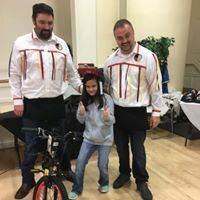 Our granddaughter Ava came along with us, we all three enjoyed our time with Chinook people and were honored that they are so willing to include us in their activites. We look forward to serving them and participating with them in future events and gatherings. August 5: Our good Friend Suqqiina came for another amazing teaching time in the Barn. It was a scorching summer day but it cooled down enough to be able to enjoy a potluck in the back yard. 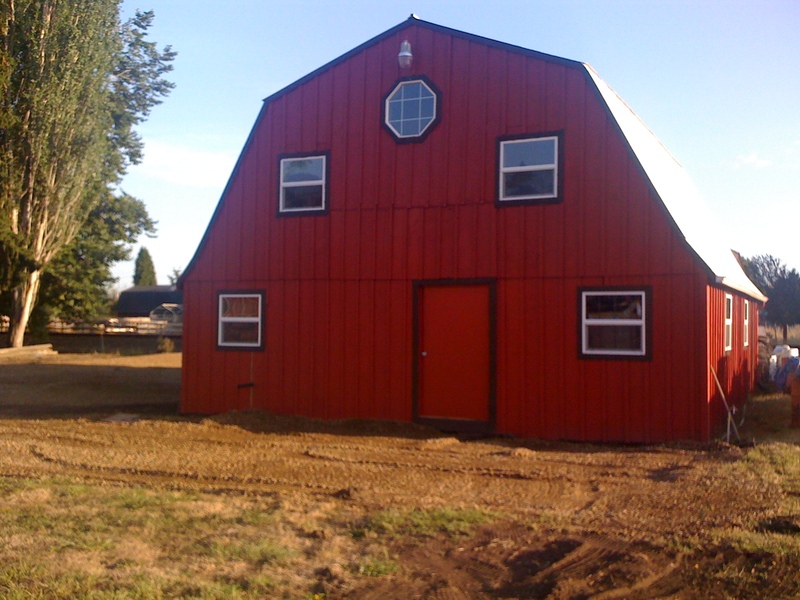 Jerry also purchased a small air conditioner that helped at least make the barn tolerable. August 17-19: Breaking of the Dawn Arrival of a New Day Potlatch at Muckleshoot Pentecostal Church. 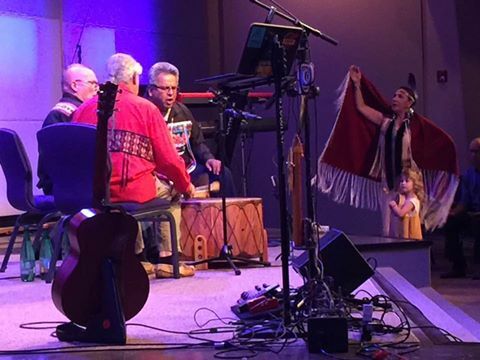 Jerry emceed this gathering of indigenous believers from across the US and Canada as well as some from across Oceans. Pat and Gary Walker and team did a fantastic job facilitating this gathering. Many were recognized and honored during this powerful time of gathering in the name of Jesus. September 16: Suqqiina returned for another teaching time in the Barn. We had a full house of believers hungry for more teaching from the Hebrew perspective. Once again we were not disappointed. 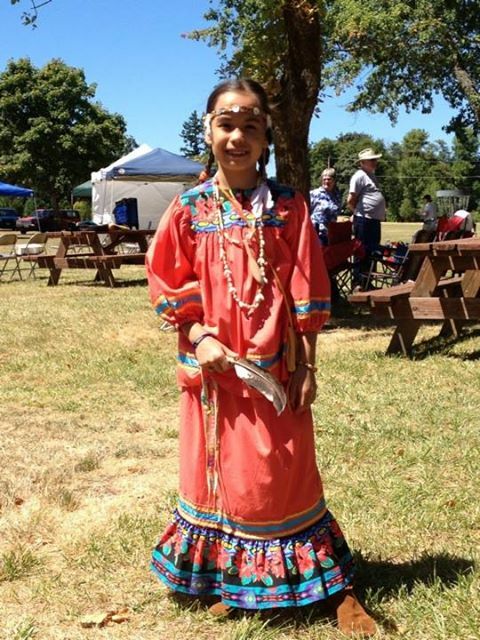 September 22: Cowlitz Pow Wow. Jerry’s brother Monty came down from BC and we set up a vendors space together. It was a beautiful sunny September day, perfect for sitting outside. As always the Cowlitz put on a super salmon feast and had fry bread and smoked fish available during the day. We saw and were able to visit with many friends and meet some new ones as well. September 29: Three Rivers House of Prayer anniversary celebration. Leslie has been active with this house of prayer since it’s birth and continues to participate several mornings a week. There is really nothing more fulfilling than to have the opportunity to meet with Abba corporately first thing in the morning to worship, proclaim His greatness and petition Him for our community. He has been so faithful to keep many in this band of prayer warriors together for over seven years. September 30: Adam and Karen Spears from Bend Oregon came to Longview to bless us with his wonderful teachings that he and John Klein have written in their trilogy of books Lost In Translation. We met the Spears several years ago in Bend and though we don’t see them often we have a deep friendship with them. Sunday morning we had the opportunity to host them for brunch and then spend some time praying in the Barn. That evening Adam shared at Northlake Baptist to a full house. We are looking forward to Adam returning with John for a weekend seminar at Northlake in March. October through December was spent focusing on family and Jerry continuing weeknight times meeting the men in the barn for building projects, prayer and fellowship. January 21 & 22 Jerry was invited to be a part of a multicultural worship team for Missions ConneXtion Northwest in Beaverton OR. 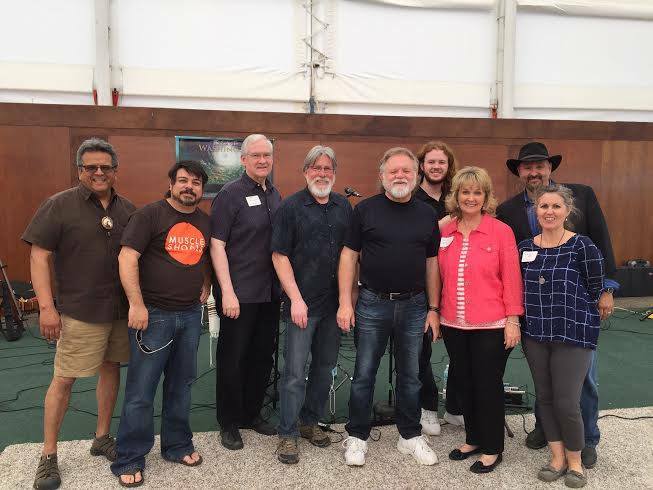 It was an honor for Jerry to be a part of such a talented and diverse worship team. Each one having such a deep love for the Lord. 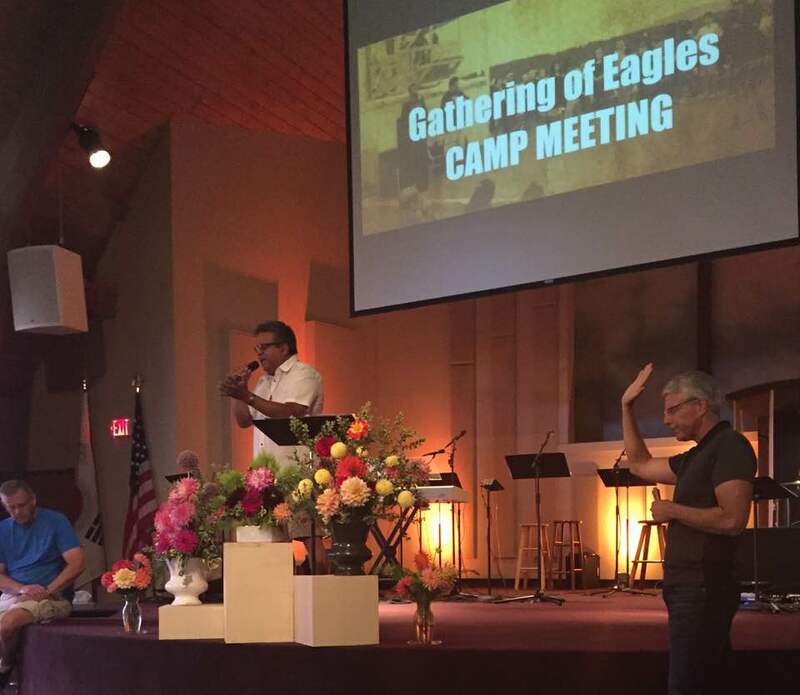 On Saturday afternoon Jerry taught a workshop on culturally relevant worship in ministering to tribal people. Jerry had prepared and prayed through about this presentation and once he began, the anointing of Holy Spirit came along side and we found our selves being ministered to in the midst of the teaching. Ah…only the Lord can do such things. We have had good feedback and also had a couple of the next generation people show interest in joining us in future endeavors. Here is a letter from someone we met through Missions ConneXtion. 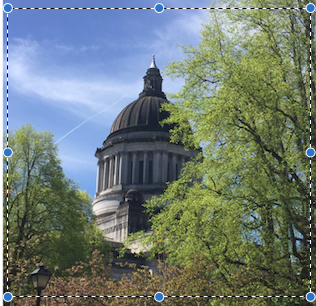 March 25 & 26 Washington State Prayer Vigil at Seattle Revival Center, New Castle WA. Our worship team opened the Friday afternoon session. What an amazing time of worship and intercession. Sunday April 3, Jerry & Leslie ministered at Four Winds Fellowship for their 12th anniversary celebration. What a wonderful group of people following Yeshua in First Nations tradition. We were blessed to have the opportunity to share this time with such wonderful people. Thanks for inviting us Pastor Chet and Jeannie. 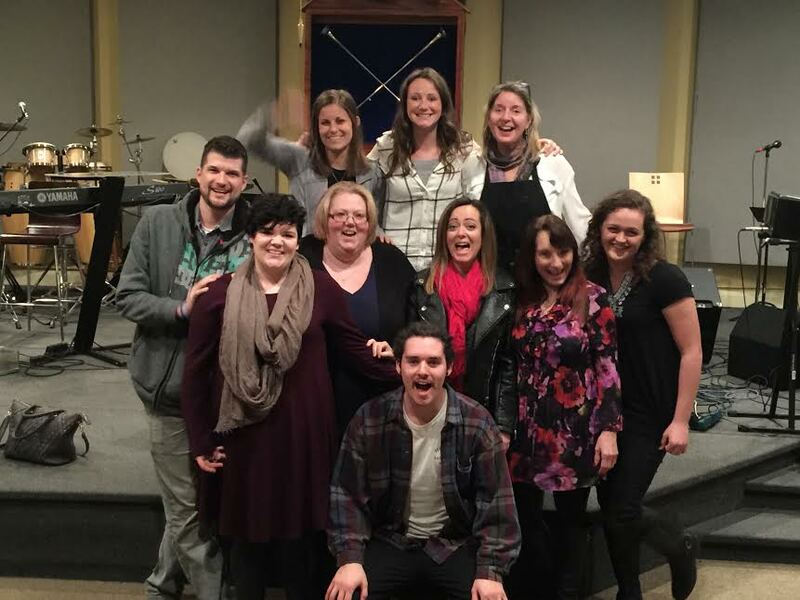 April 14-15 We traveled to Kelowna BC where Jerry played percussion on Art Lucier’s worship team at the Eyes and Wings conference. Incredible 2 days! So glad we made the trip. Thanks to all for the wonderful hospitality. 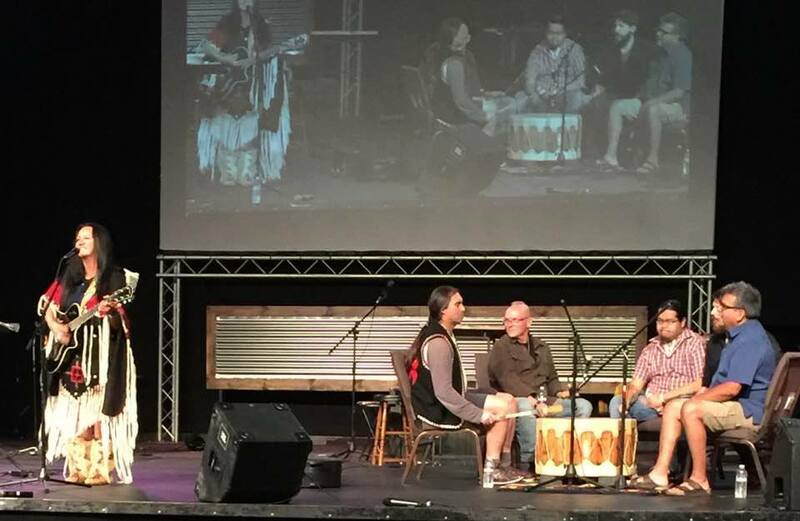 April 23 Worship At the Liberty Theater Astoria OR as a part of the Chinook Nation presentation for City Bi-centennial celebration. The next day Jerry was a part of a reenactment with the tribe and old time sailing ships. 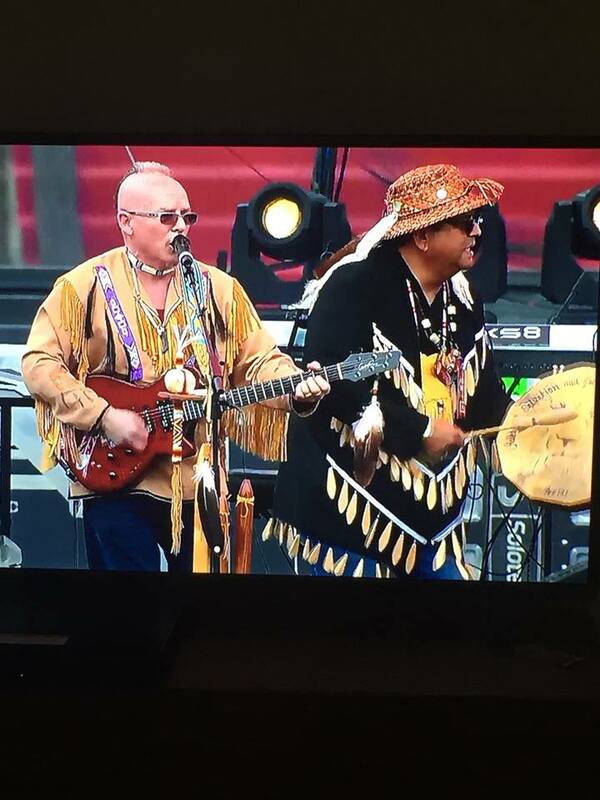 Where were greatly honored to be invited to share in this historic time with the Chinook people. May 6-8 Medford OR Holy Ghost Conference with the team. It was great to reconnect with our friends in Southern Oregon again. May 27-30 St Ignatius Montana with Jan and Corb Morgan. What a beautiful place! Our purpose was to deliver a drum for the Morgan’s ministry and have dedication of that drum at their church Mission Mountain. The congregation was very open and anxious to participate. Jan and Corb are amazing’s hosts. We look forward to a return trip. June 6 Jerry and Leslie went to Ruby Creek BC for a gathering. There we more than 60 people in attendance, both believers and pre-believers enjoyed an afternoon of food fellowship and worship. Phil Westin and his son Phillip helped us out with worship. We had and opportunity to pray for a hurting young mom who has been separated from her family and she was so encouraged by the love given to her that day. June 17 was the Chinook Tribes First Salmon Ceremony Jerry joined some of the folks on one of the canoes. 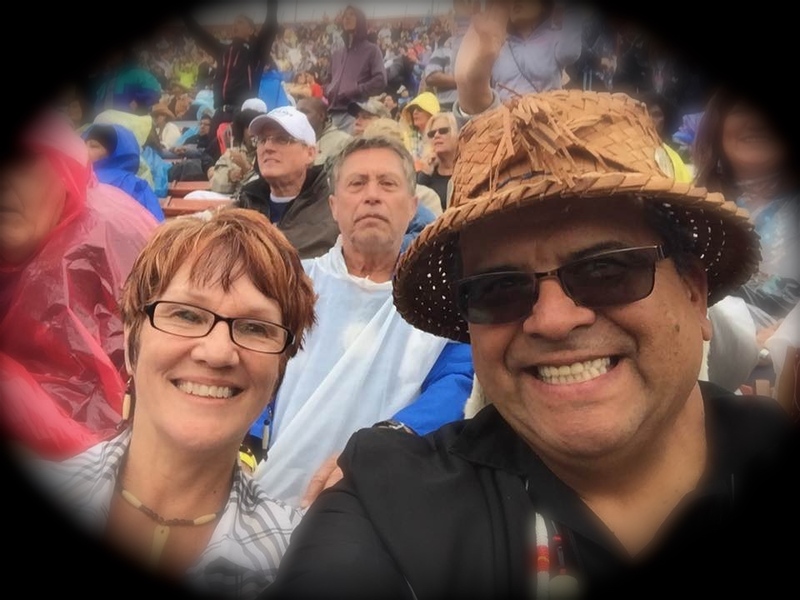 We felt blessed to once again be invited to celebrate with the Chinook people. 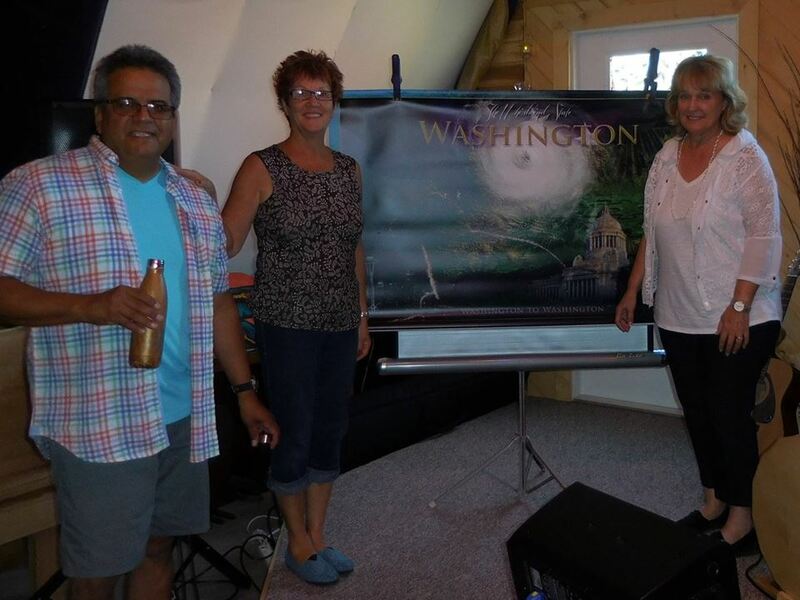 June 24 Molalla OR, Intercessors meeting team members were Jerry, Leslie, Mike, Rene, Francis and Thea . Had an amazing time of worship and intercession. 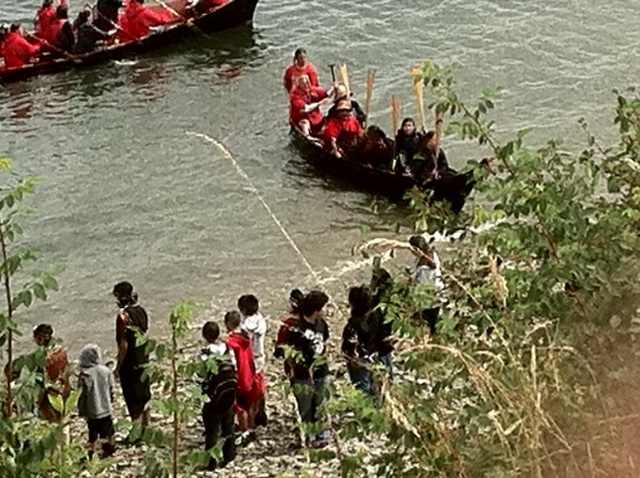 July 15-25 we joined the Chinook Nation on the 2011 Canoe Journey Paddle to Swinomish. Our main mission was working with the ground crew setting up and takingdown the campsites. Jerry had the opportunity to join the crew on one leg of the journey, an experience he’ll never forget. It was good to have some time to actually connect the people on a more personal level. Everyone was so warm and made us feel so welcome. Want to acknowledge PK and Hya for loaning us their beautiful RV for the trip. We felt like royalty! 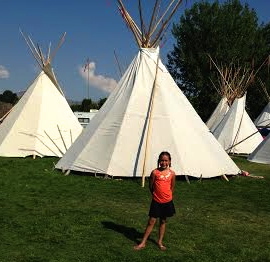 July 29-31 We took our grand daughter Ava with us to Wiconi Family Camp. The turn out for the Pow Wow on Saturday could not have been better and the weather was perfect. This was the 3rd time Ava has attended and is asking to go again next summer. 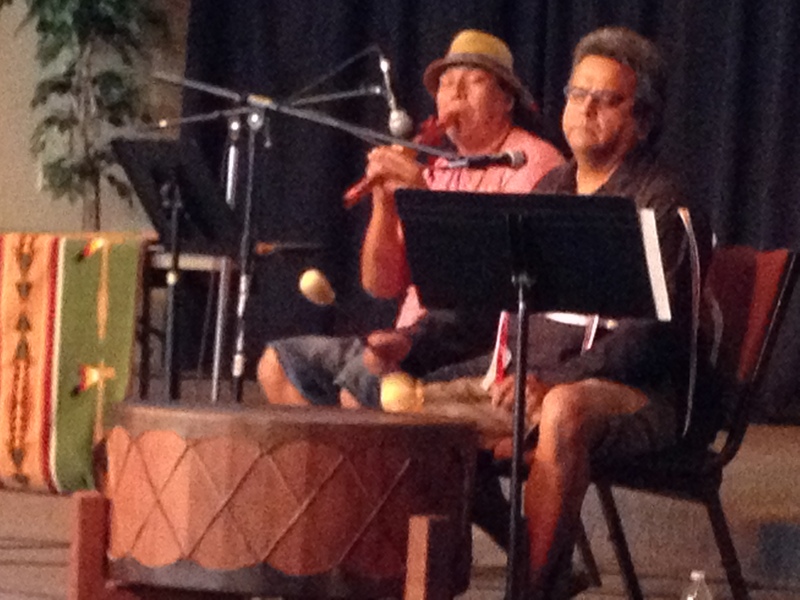 August 6 Raymond Liberation Church had their annual summer worship day honoring the Chinook Tribe. Randy, Cheryl Barnettson and boys were there, as well sharing in music and story telling. We so love that family there’s always a good time when they are around. 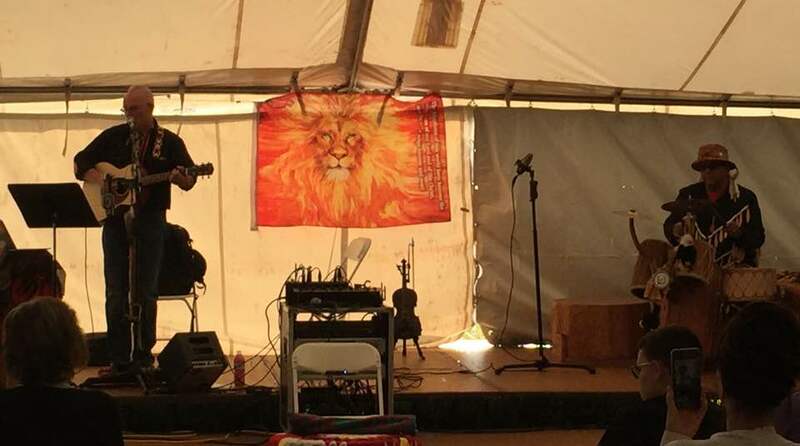 September 10 found us in Vantage WA at in a gigantic tent worshiping with the Bob family and a group of prophetic intercessors. The temperature was 98 degrees and the Lord downloaded some profound things to some of our team members. We believe there is more for us in Vantage in the future. 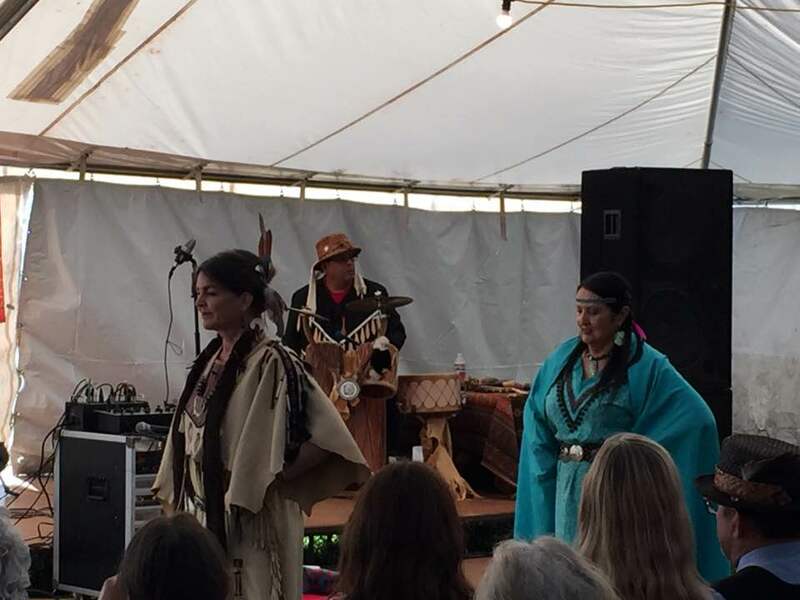 September 17 We were honored as Headman and woman dancer at the Cowlitz Pow Wow. We continue to be overwhelmed by the love and support from our Cowlitz family and friends. September 30- Oct 1 Official opening of the Barn, community ministry leaders and JCM Board. Had the opportunity to pray and bless our place of gathering and worship. October 8 Suquiinna was in town and honored us by being the first person to teach in the barn. A forerunner of what’s to come! October 15 Jerry and Leslie were in Ruby Creek for another gathering. This one had over 70 people. Some other ministries committed to hosting a gathering. We are excited for what Creator is doing with these gatherings.